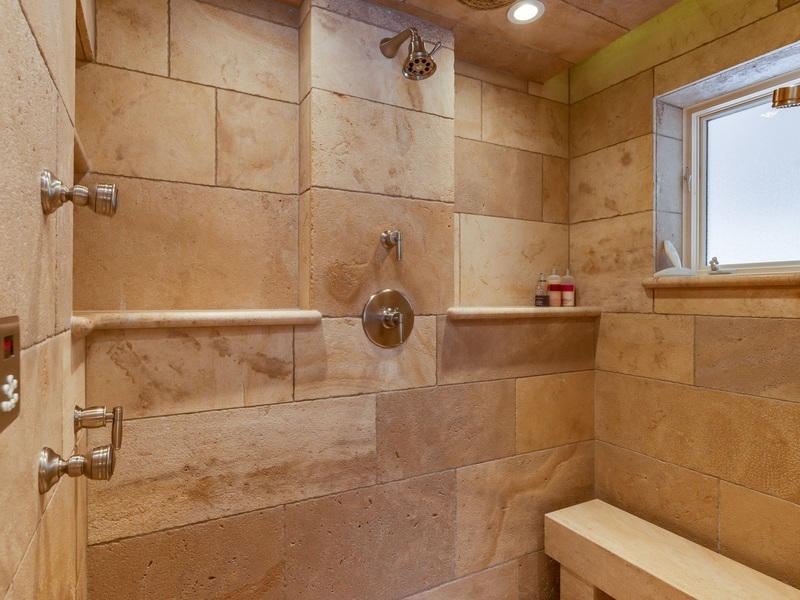 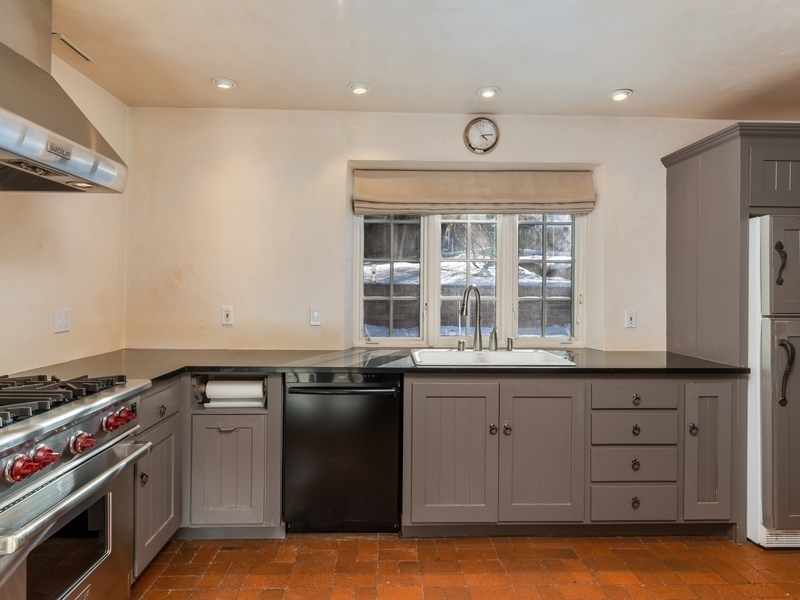 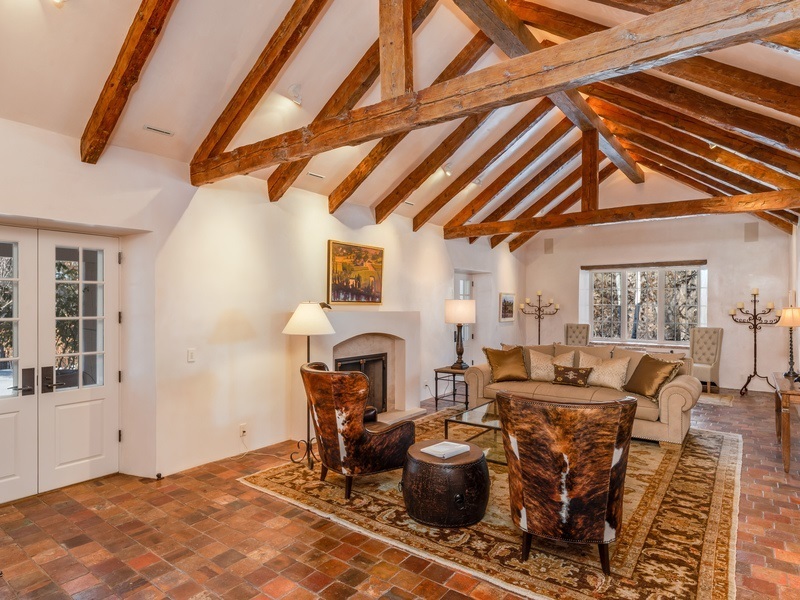 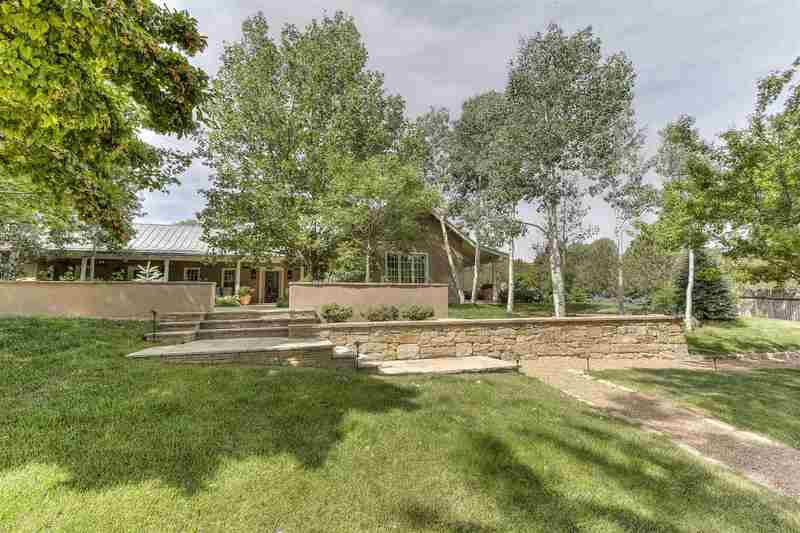 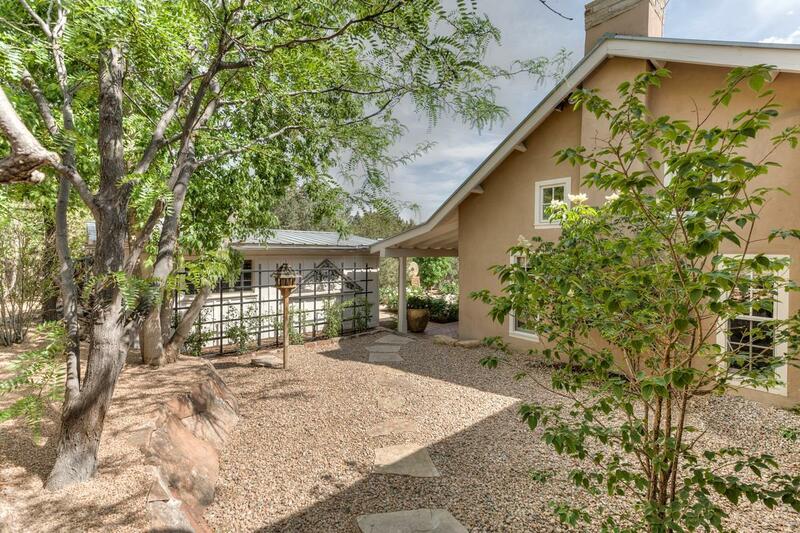 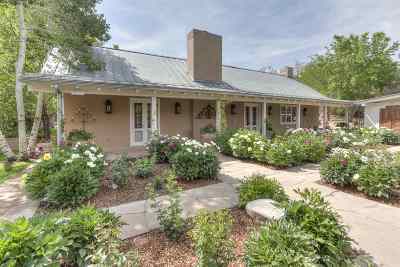 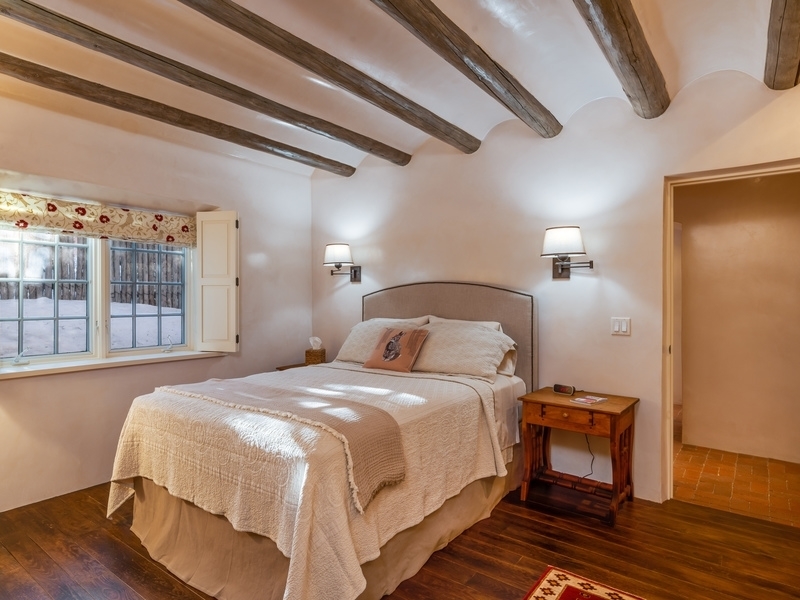 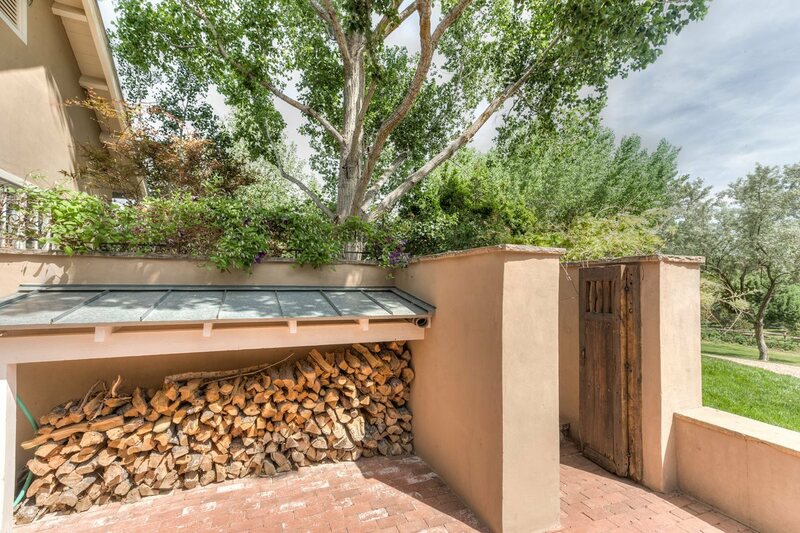 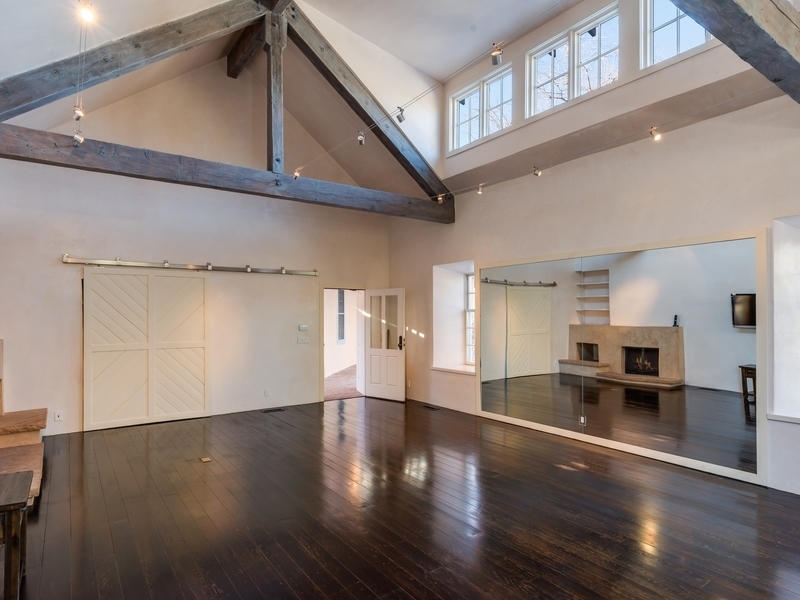 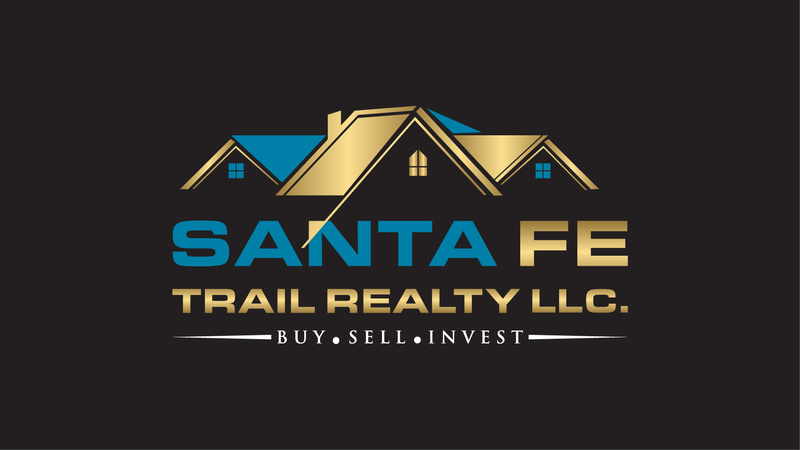 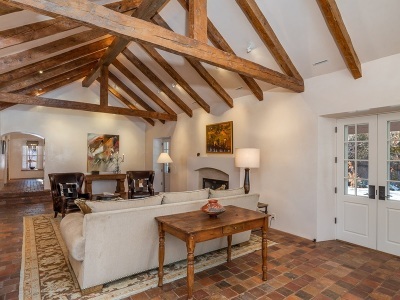 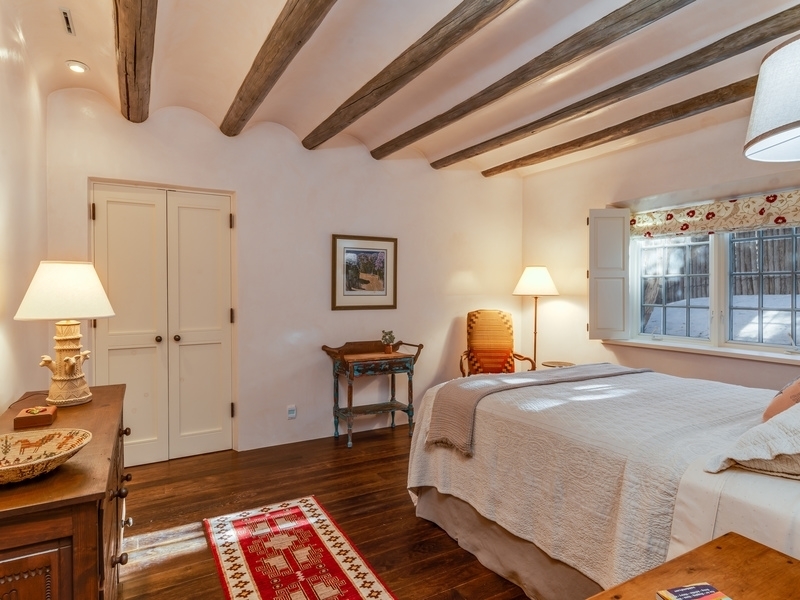 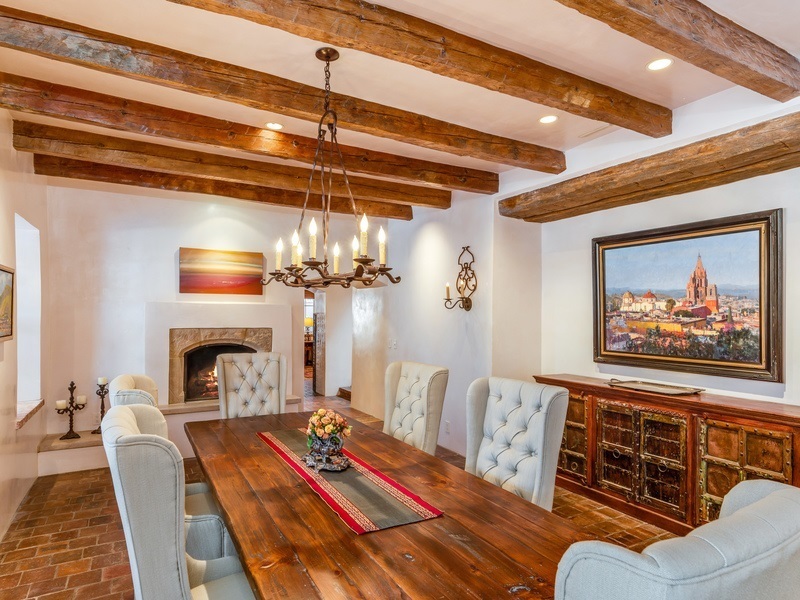 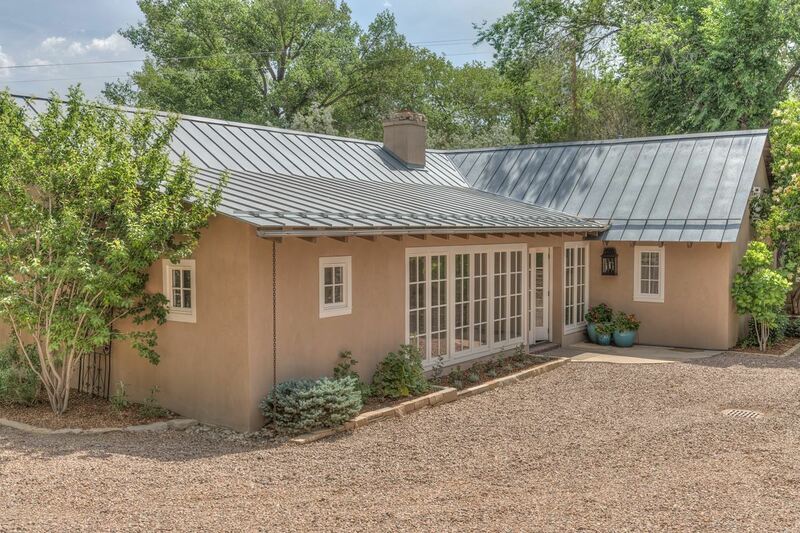 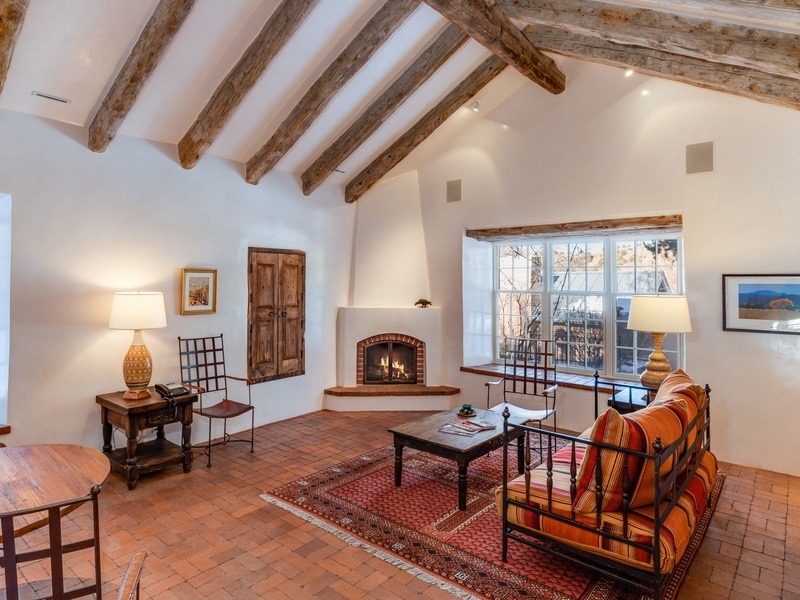 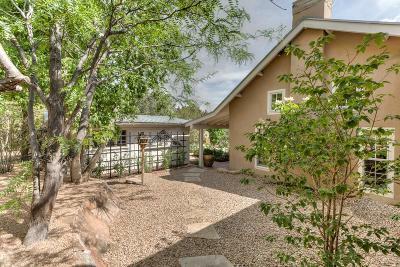 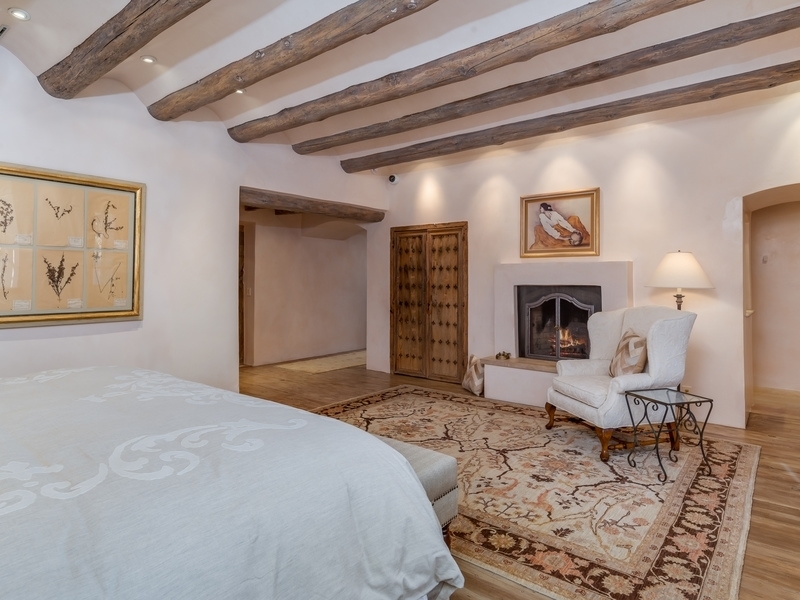 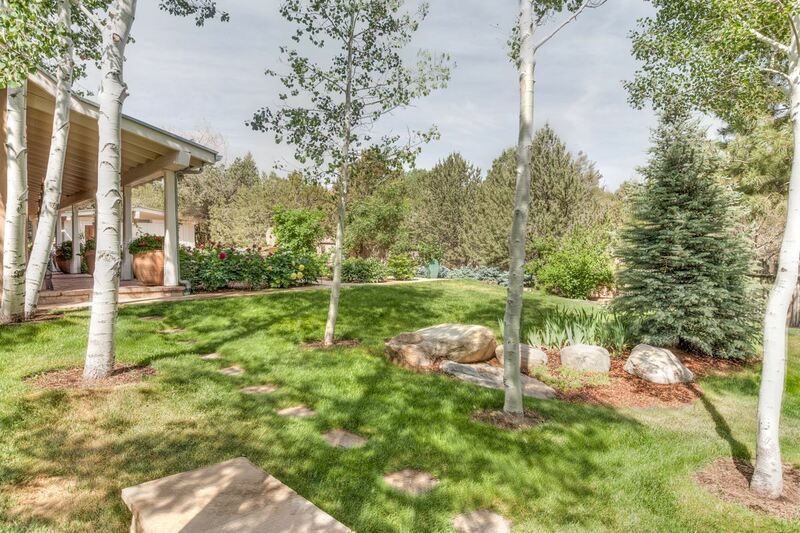 The epitome of classic pastoral Santa Fe style, this idyllic compound includes a 6,161-square-foot home, a 3,204-square-foot guesthouse and studio, and a 1,863-square-foot caretaker's residence. 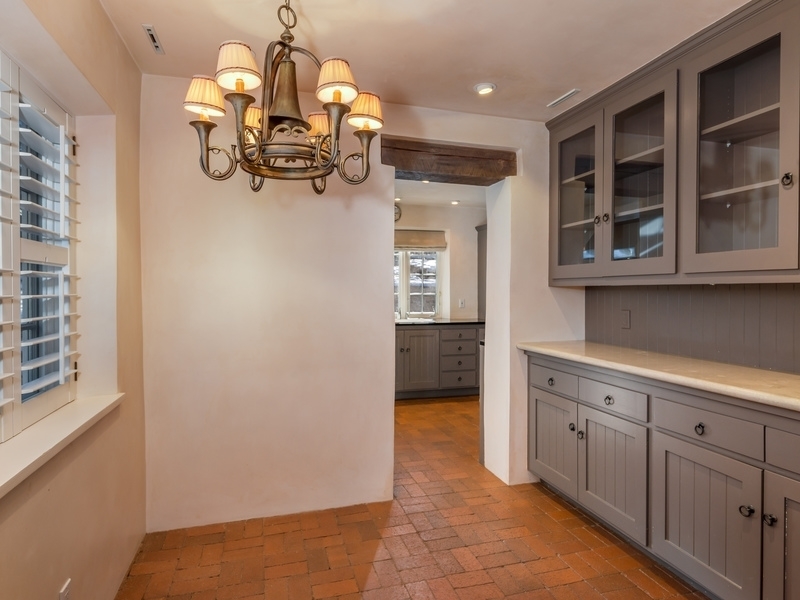 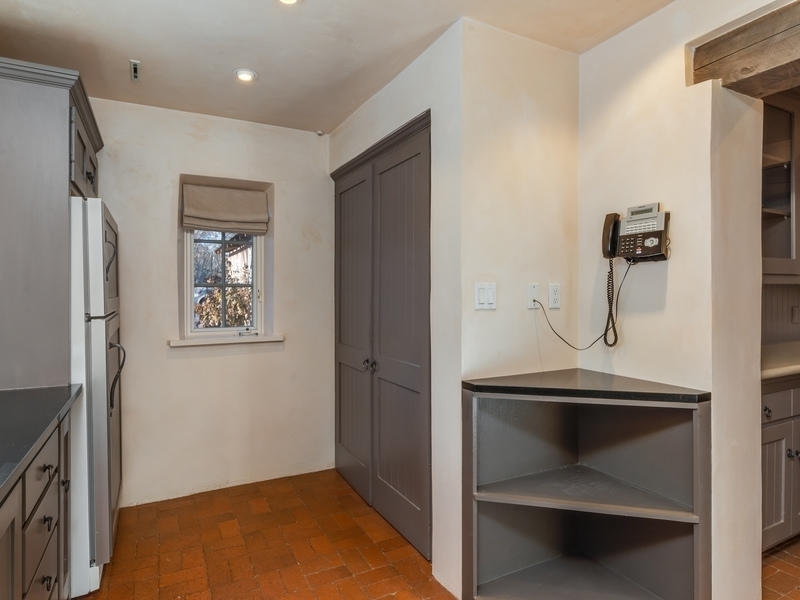 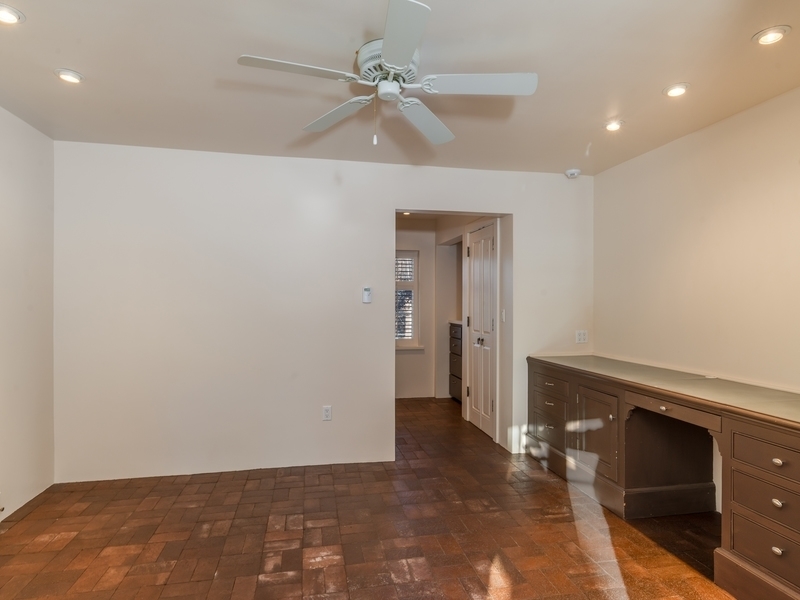 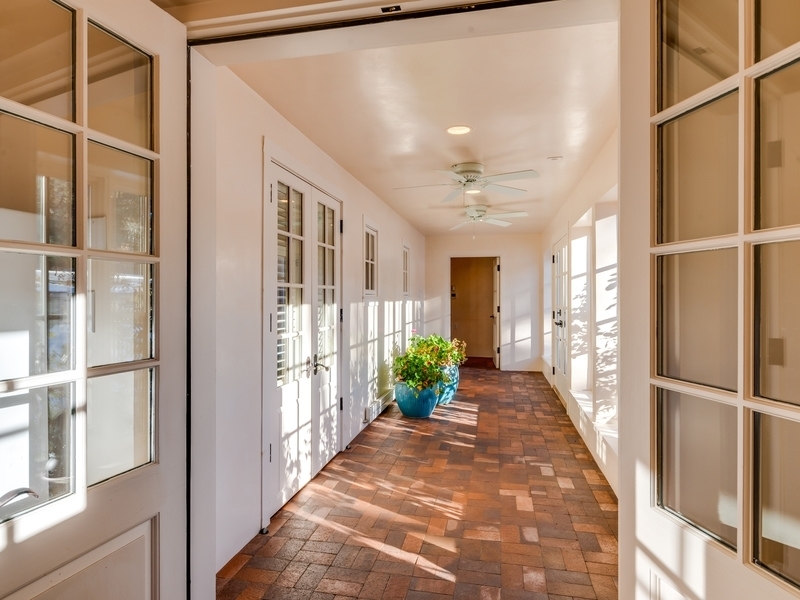 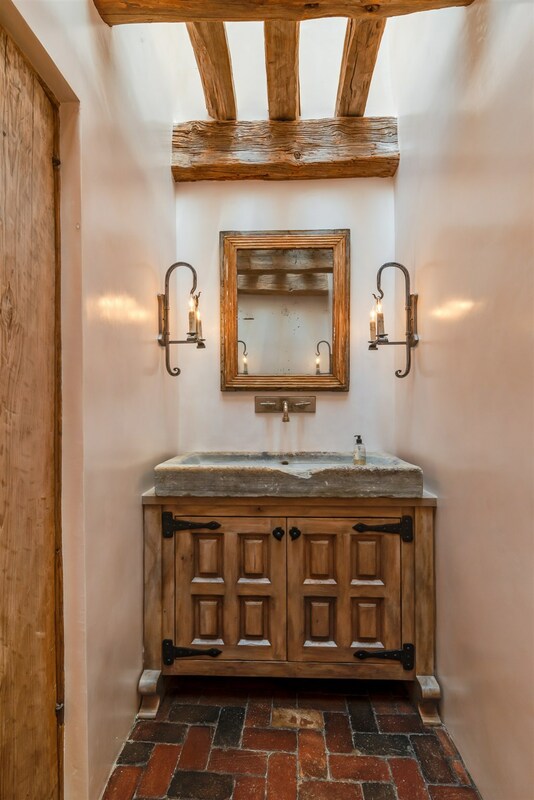 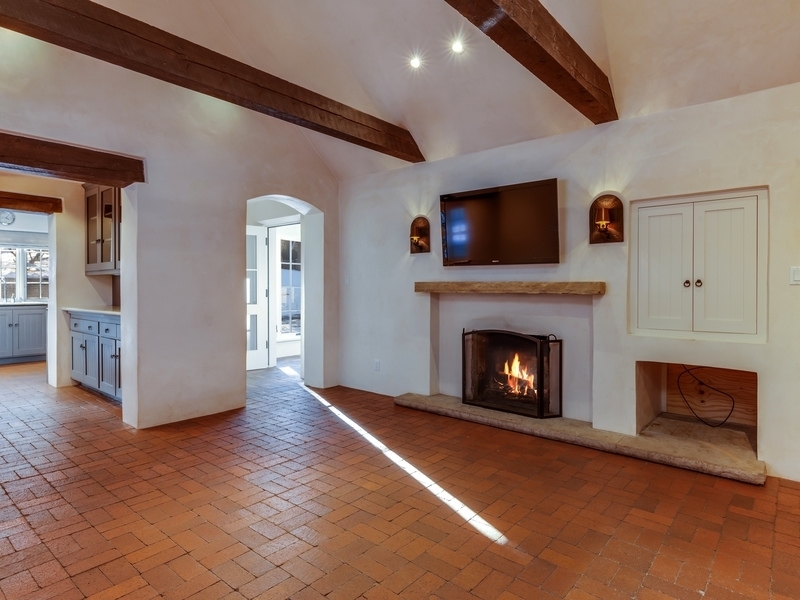 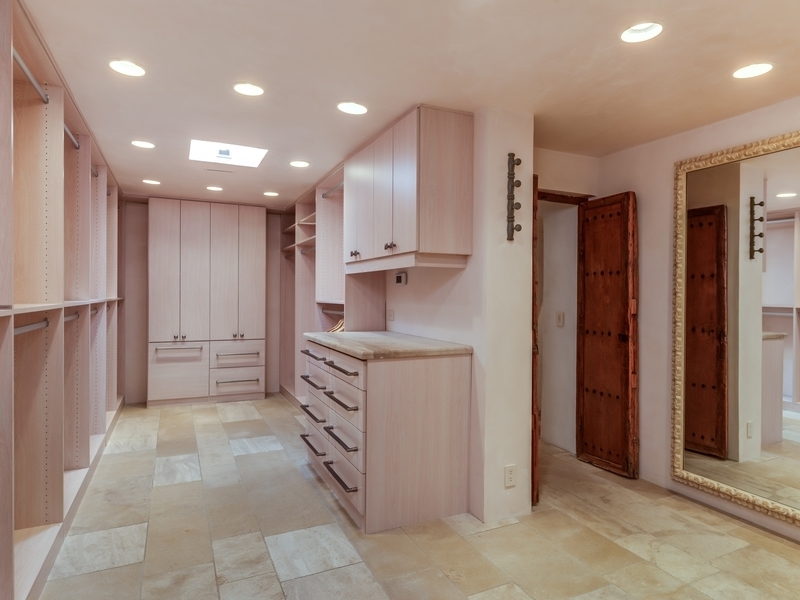 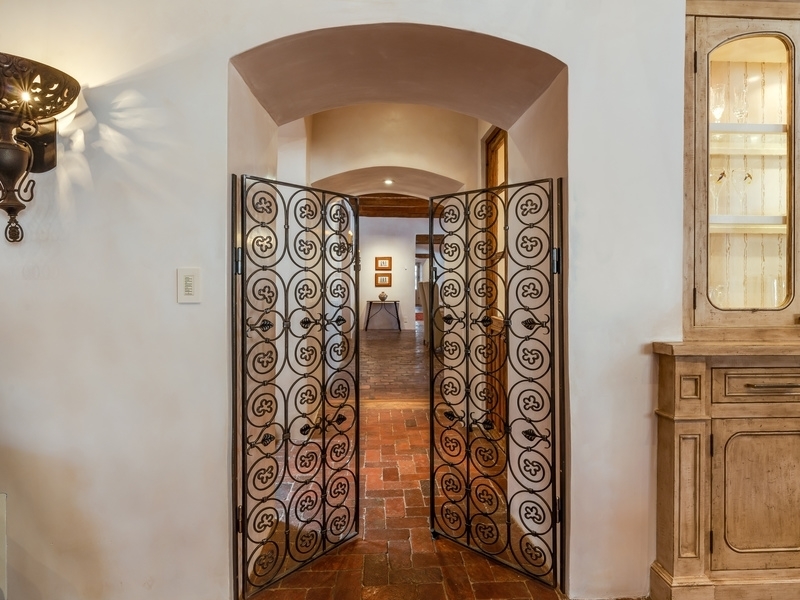 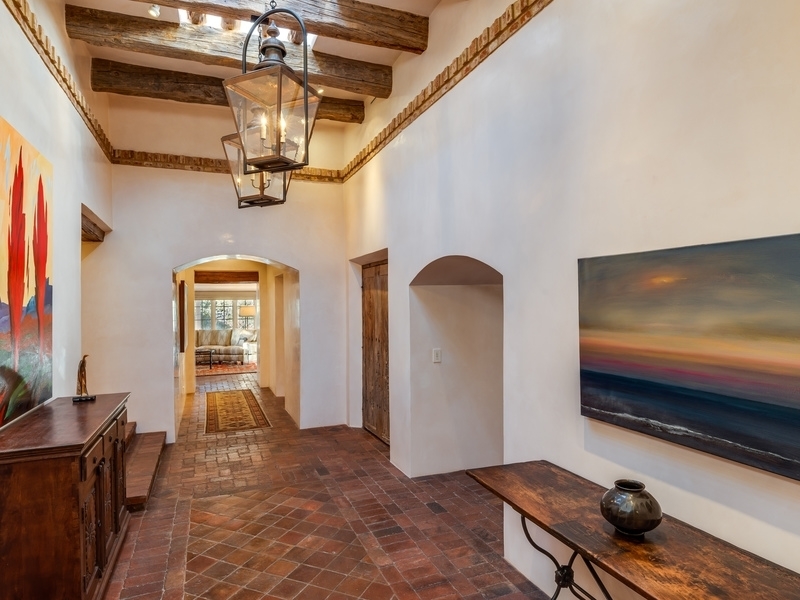 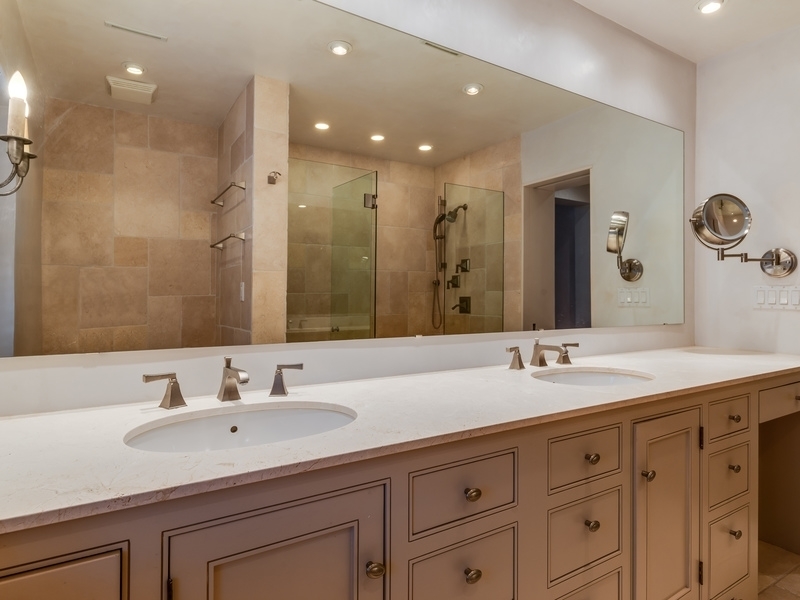 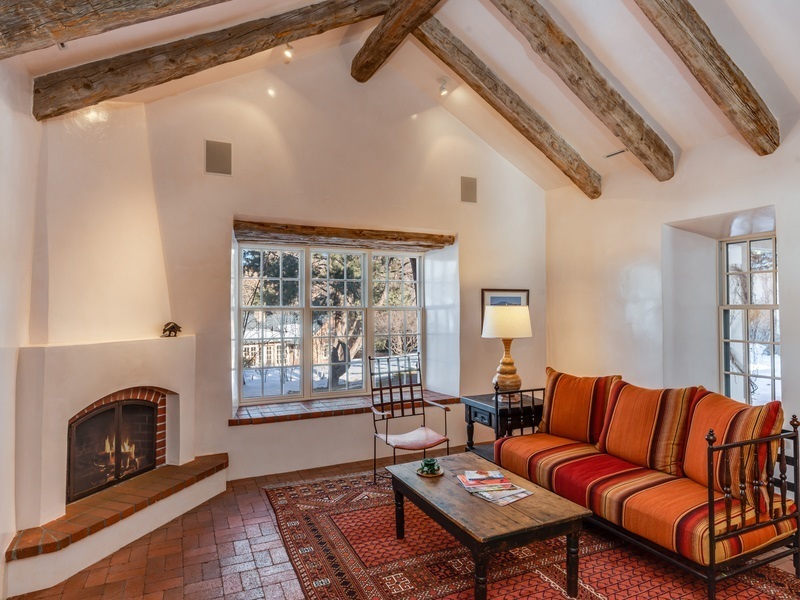 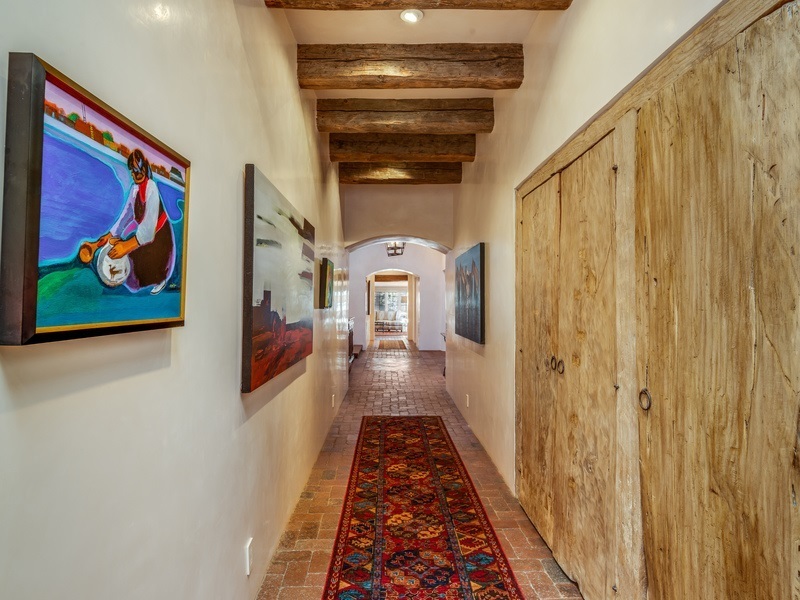 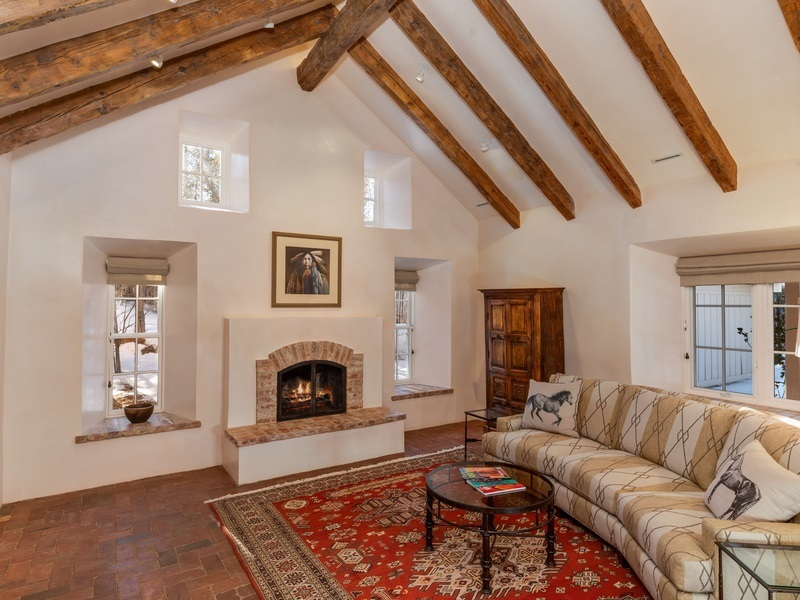 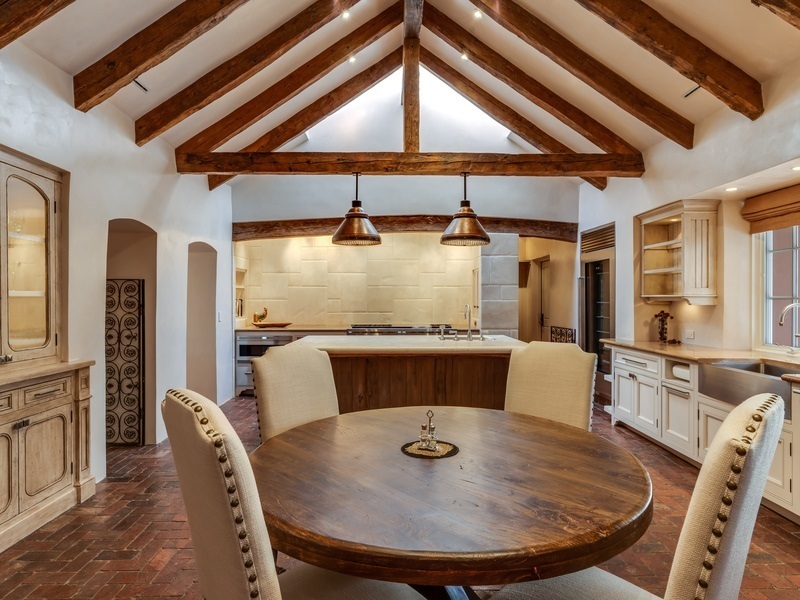 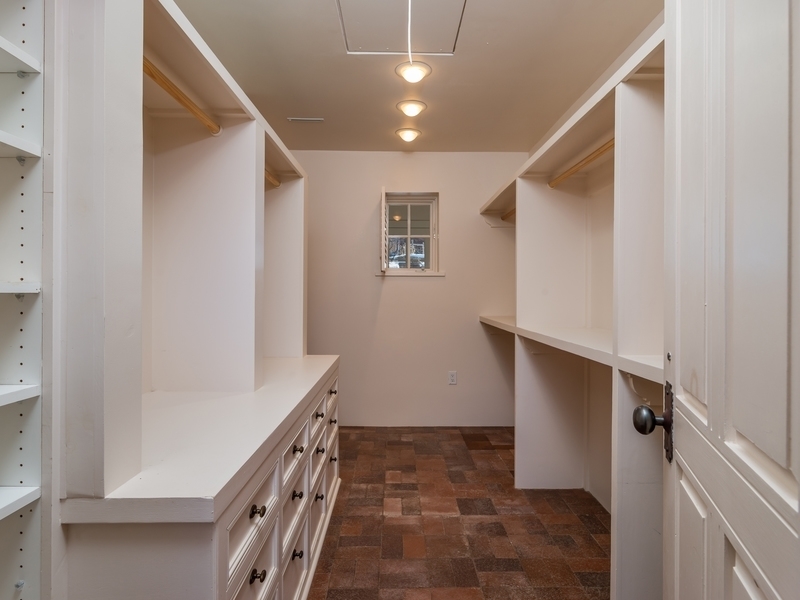 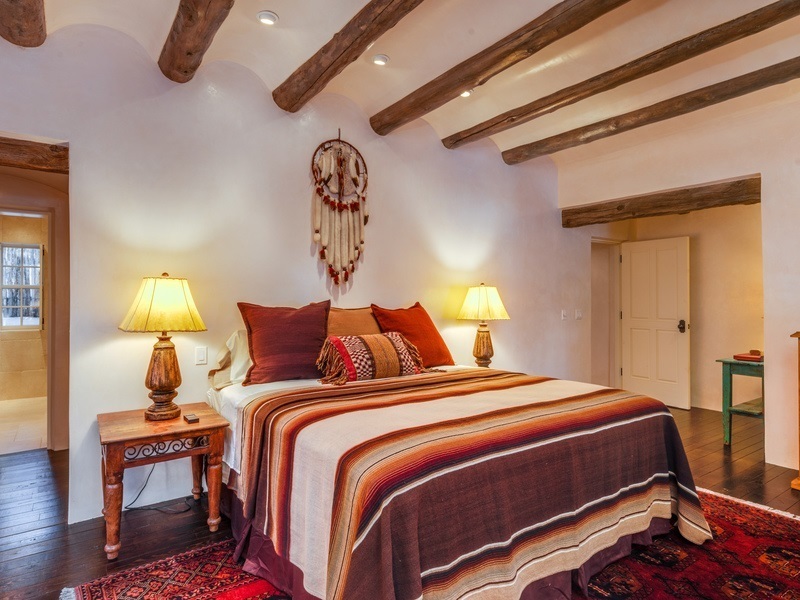 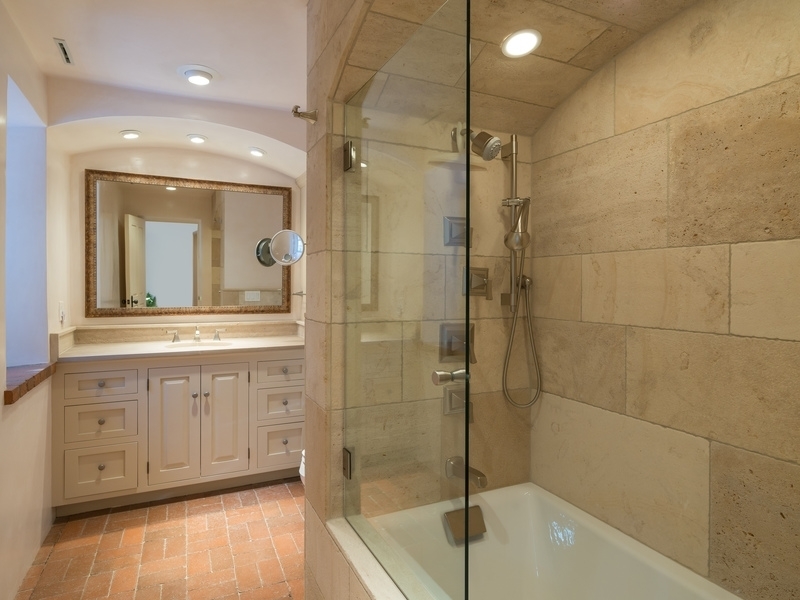 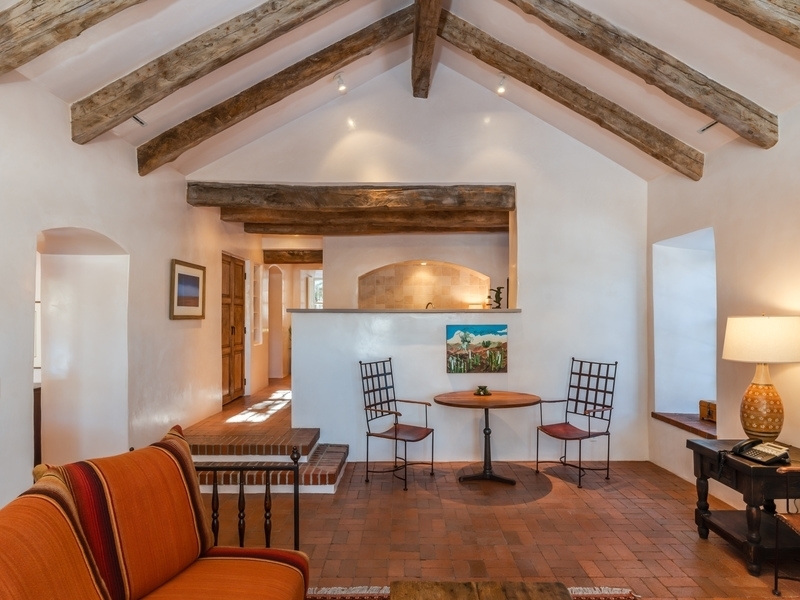 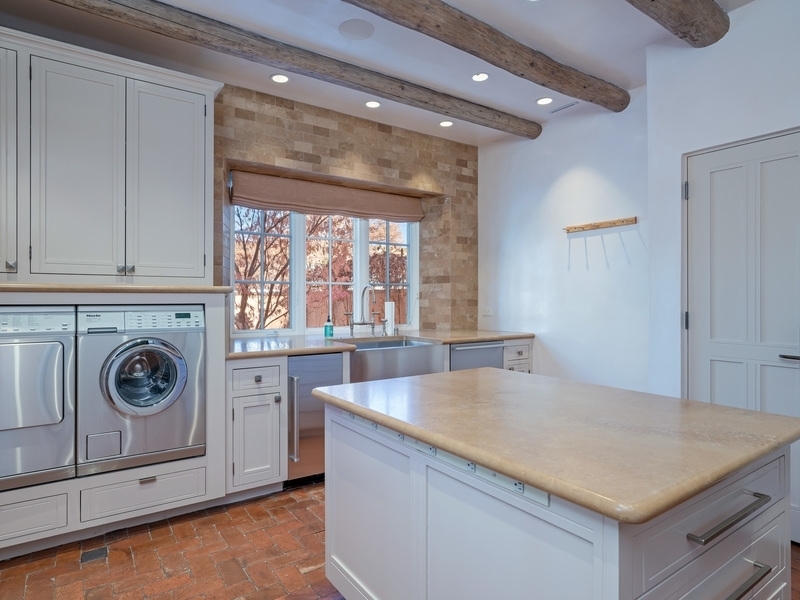 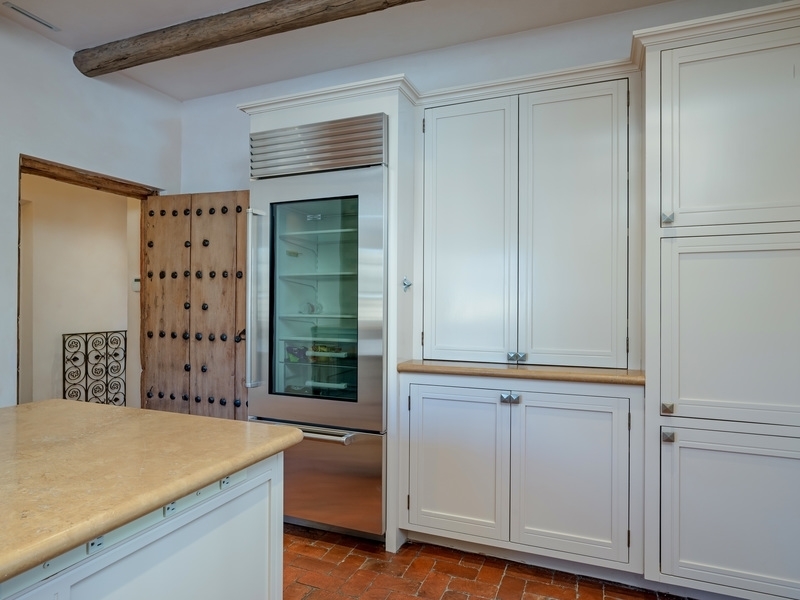 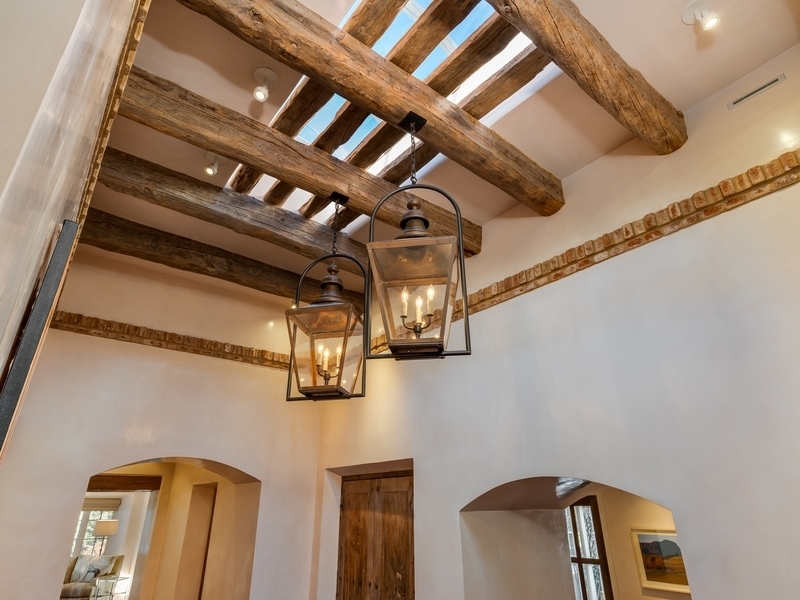 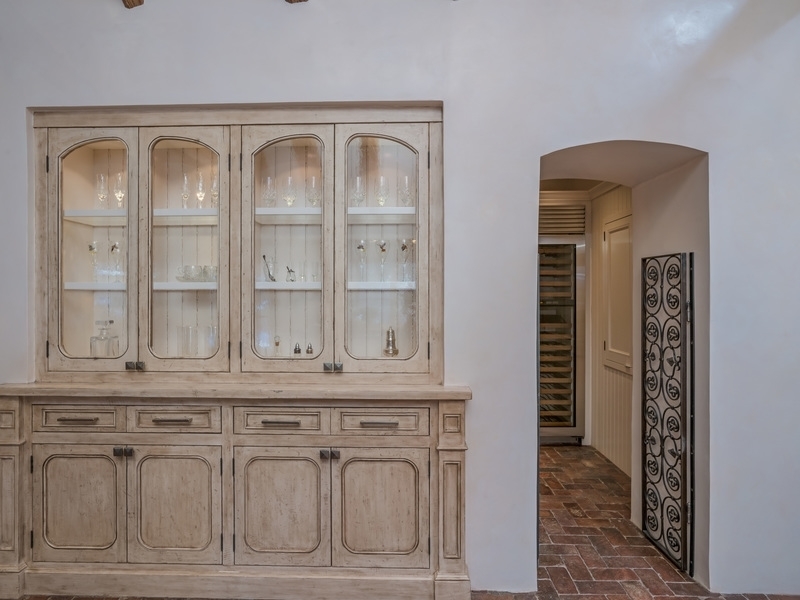 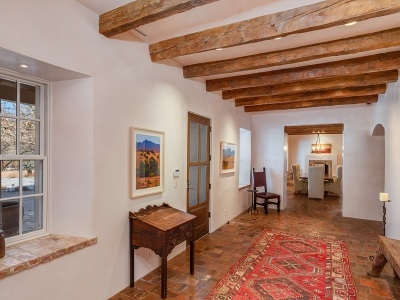 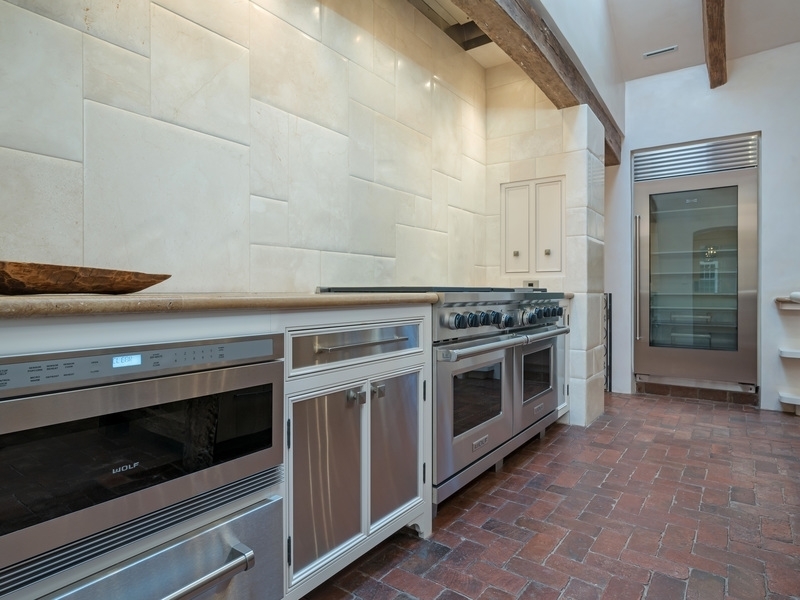 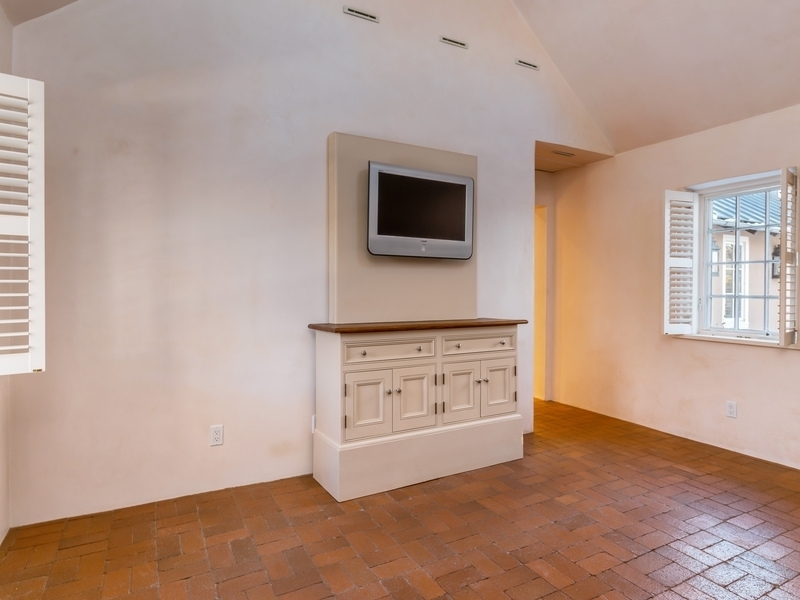 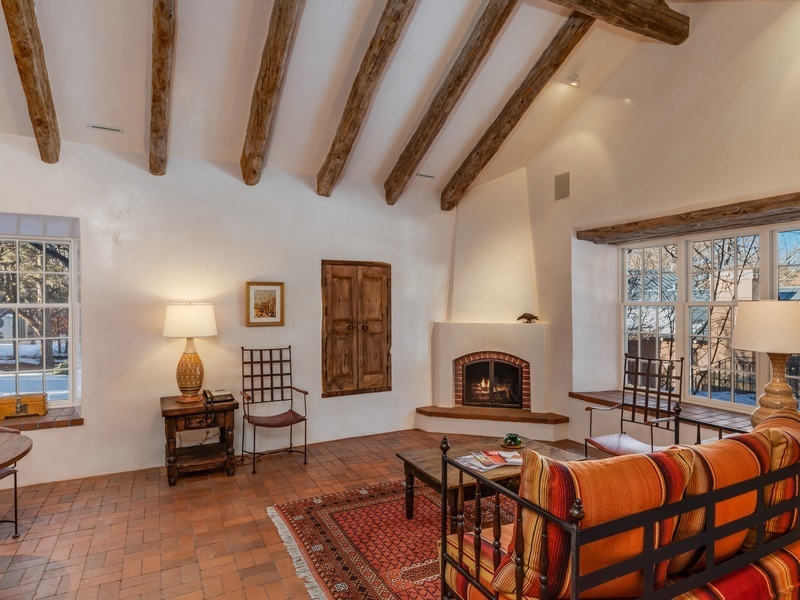 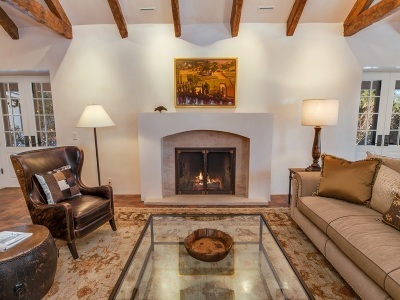 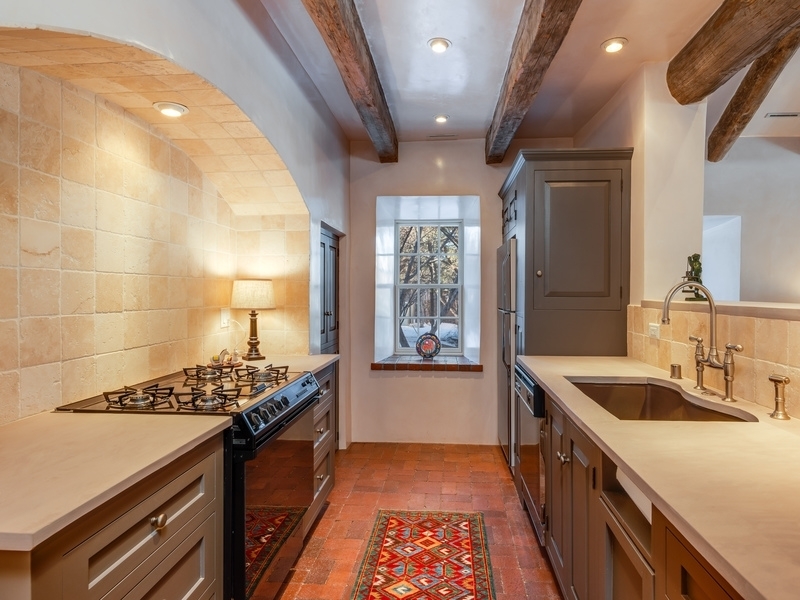 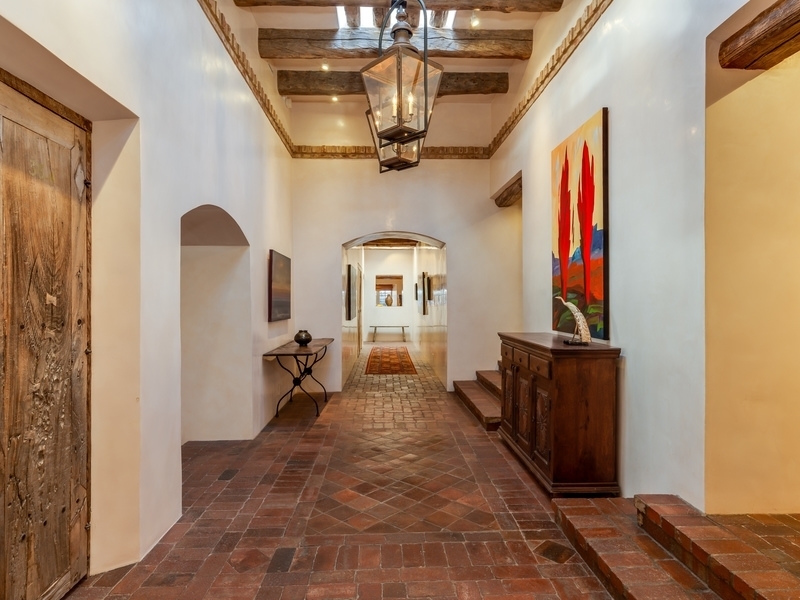 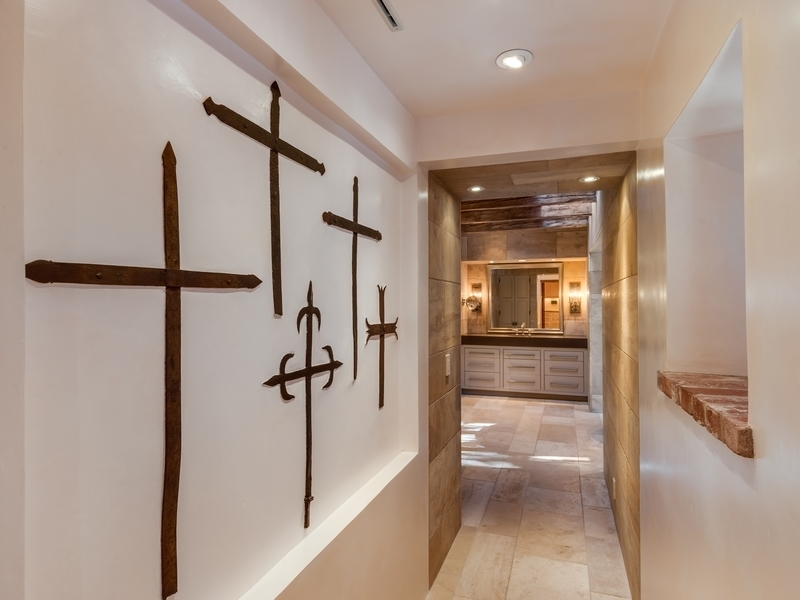 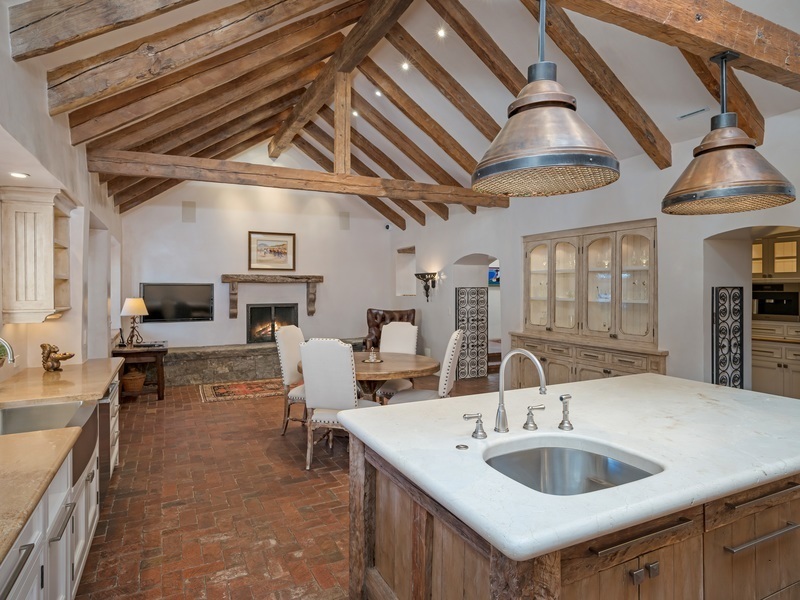 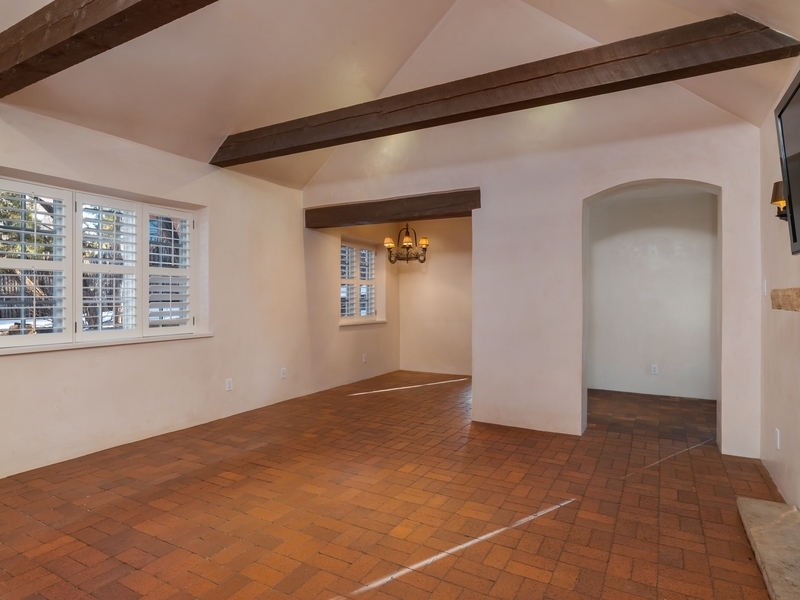 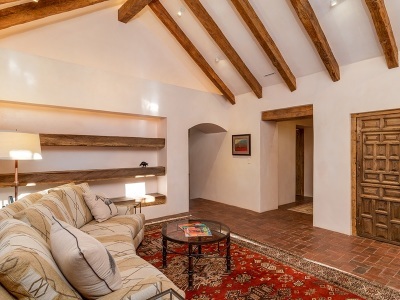 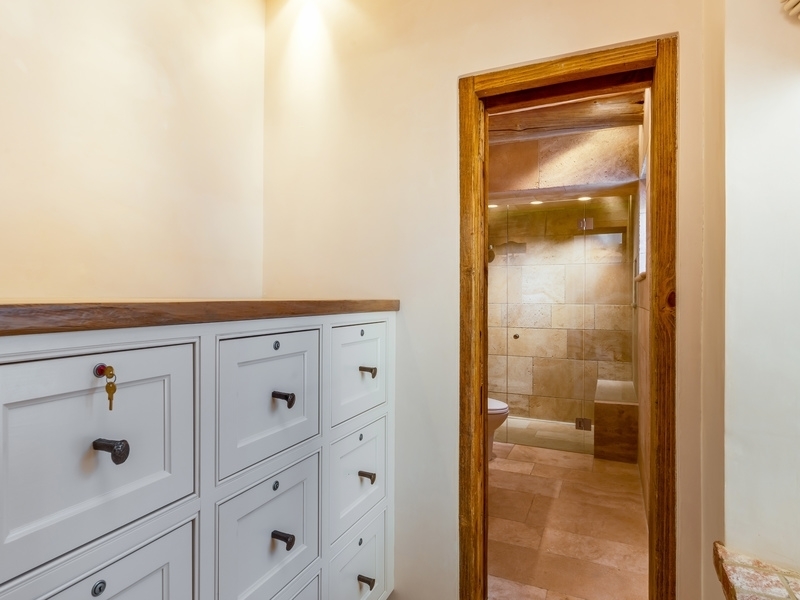 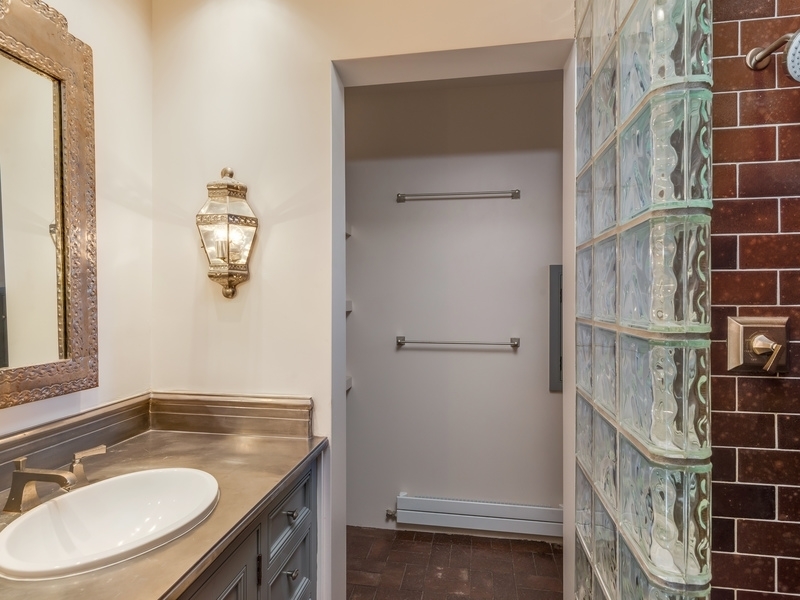 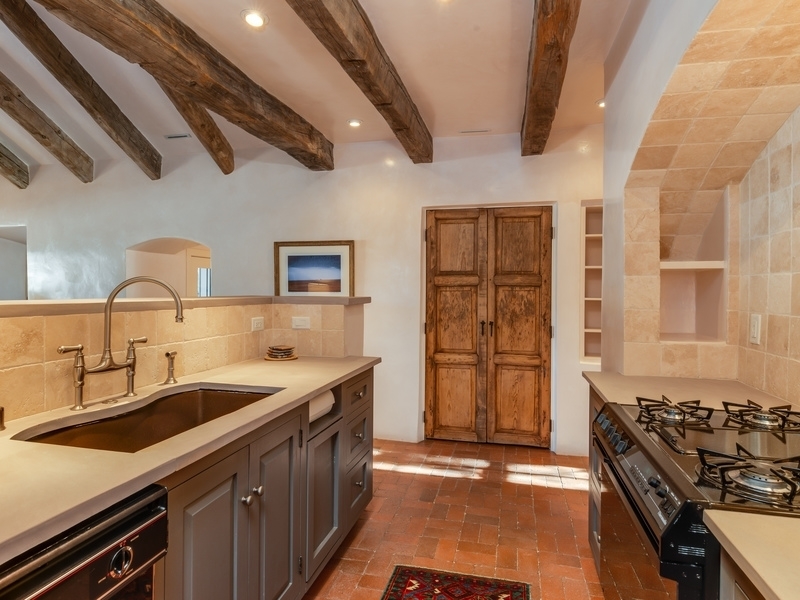 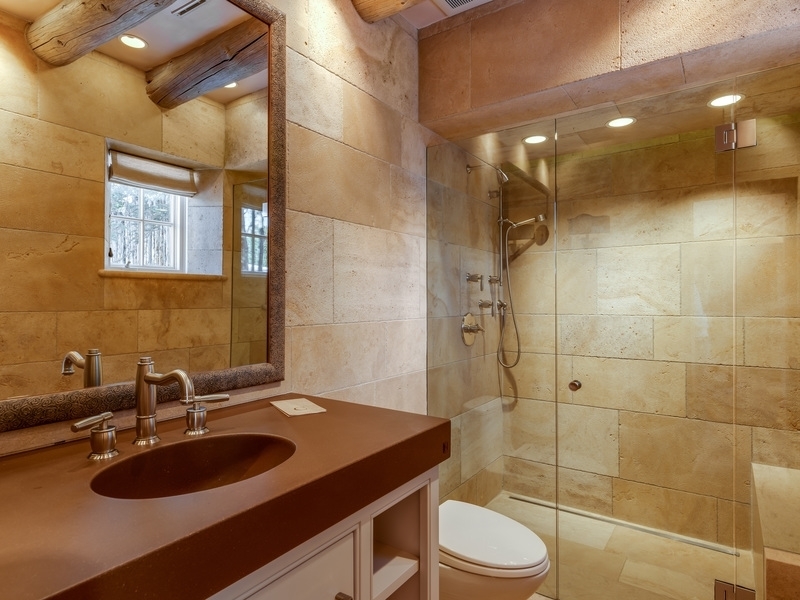 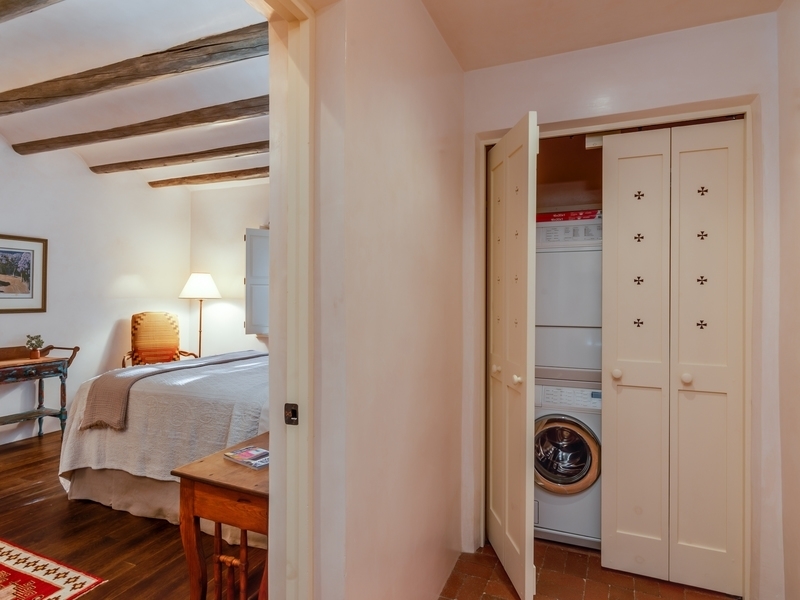 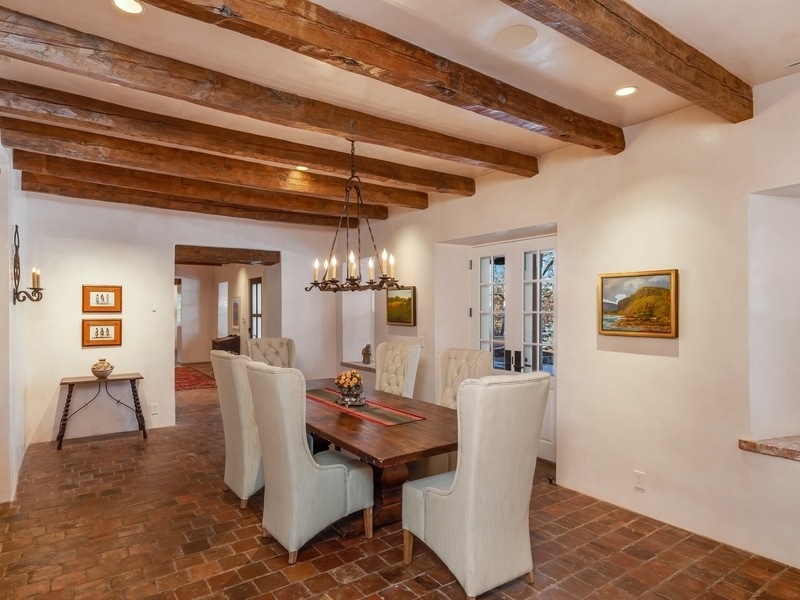 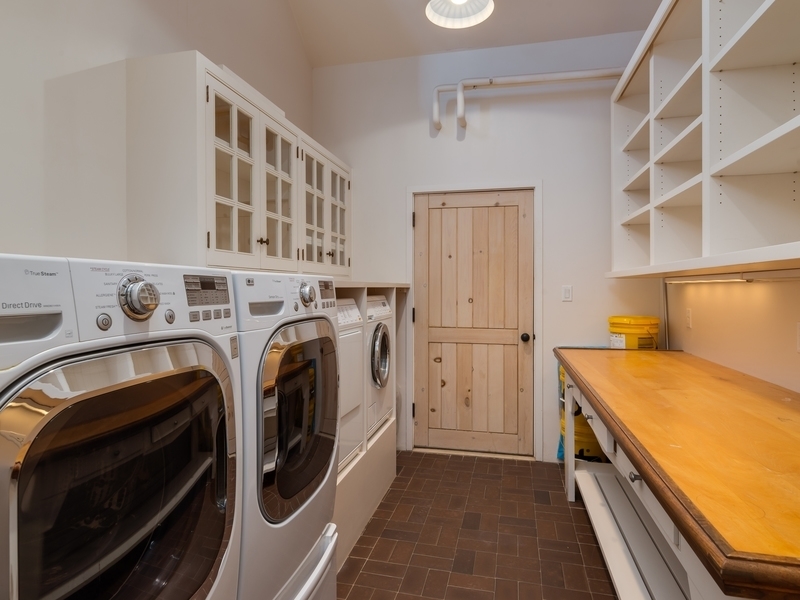 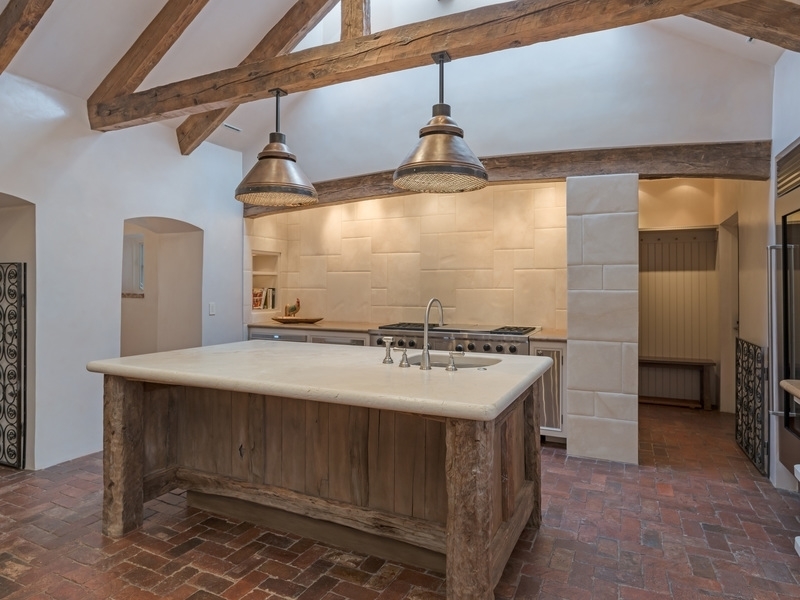 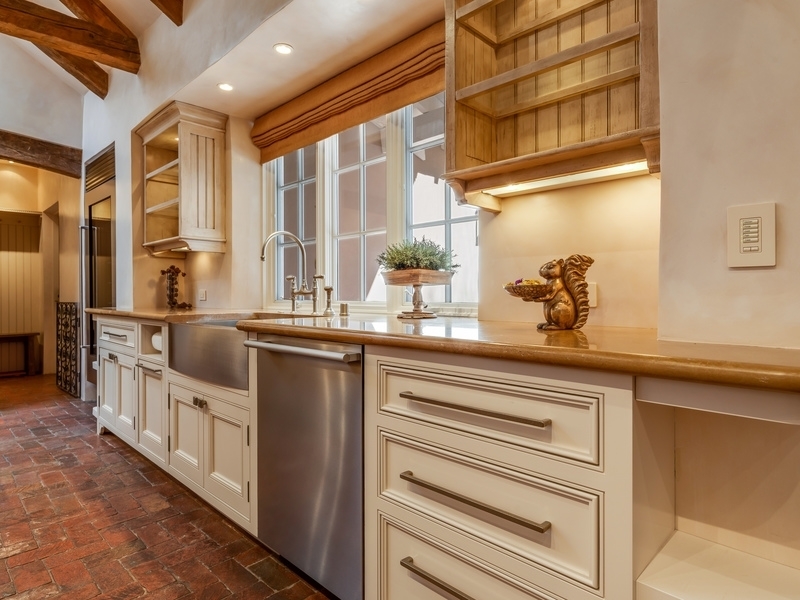 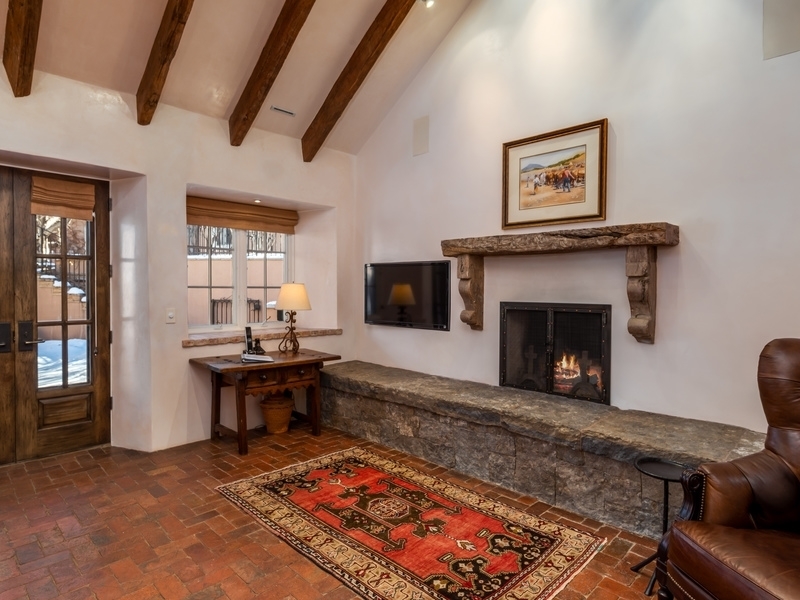 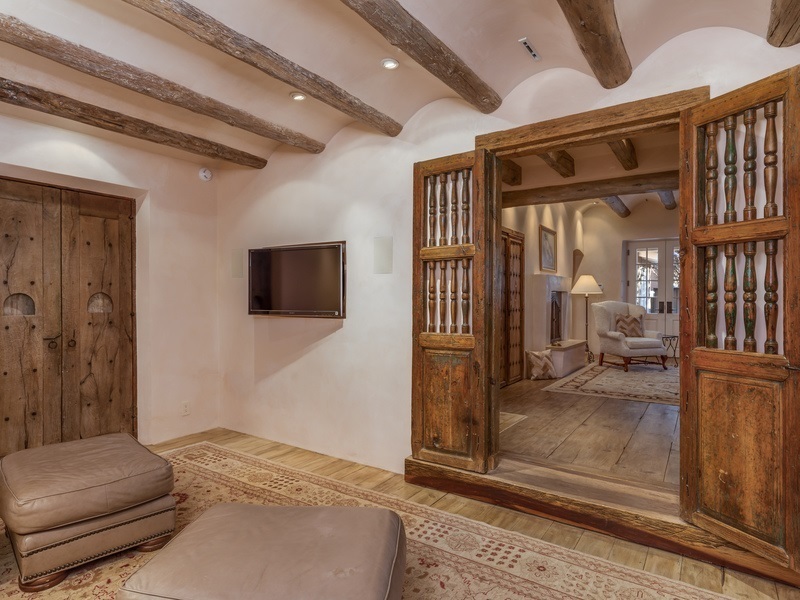 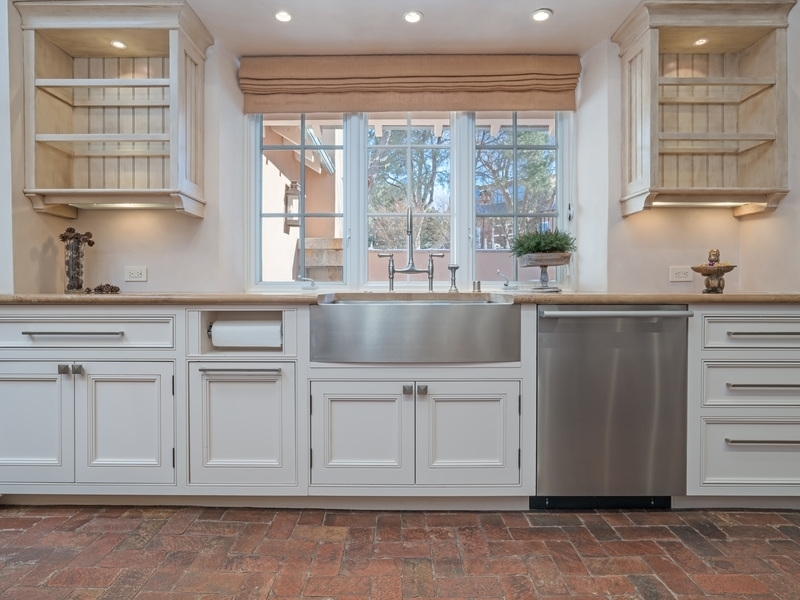 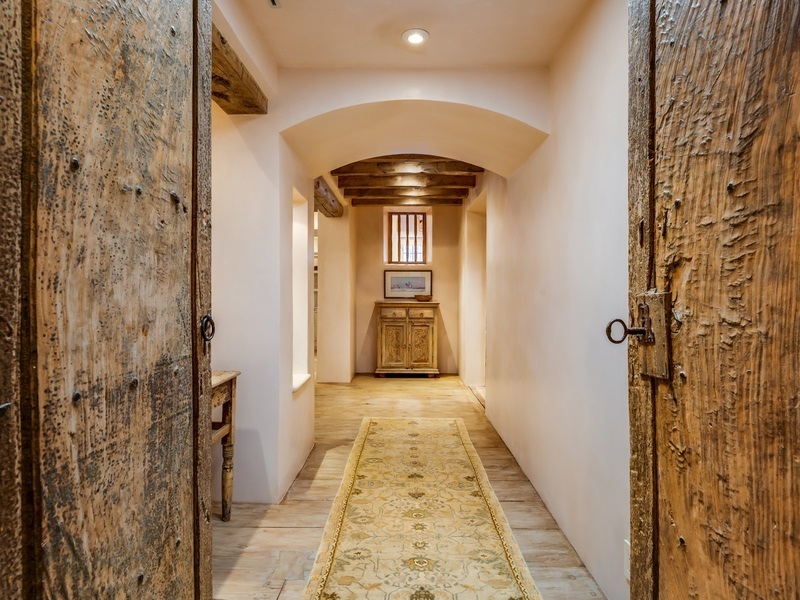 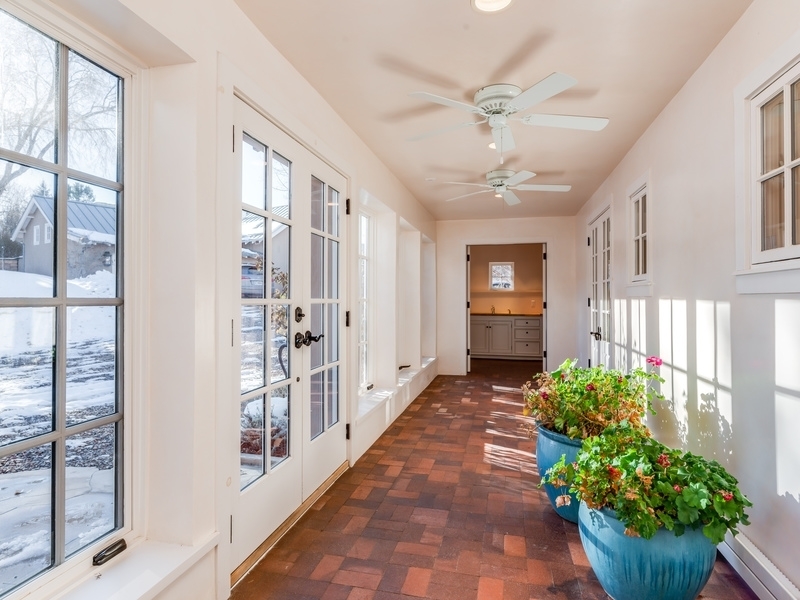 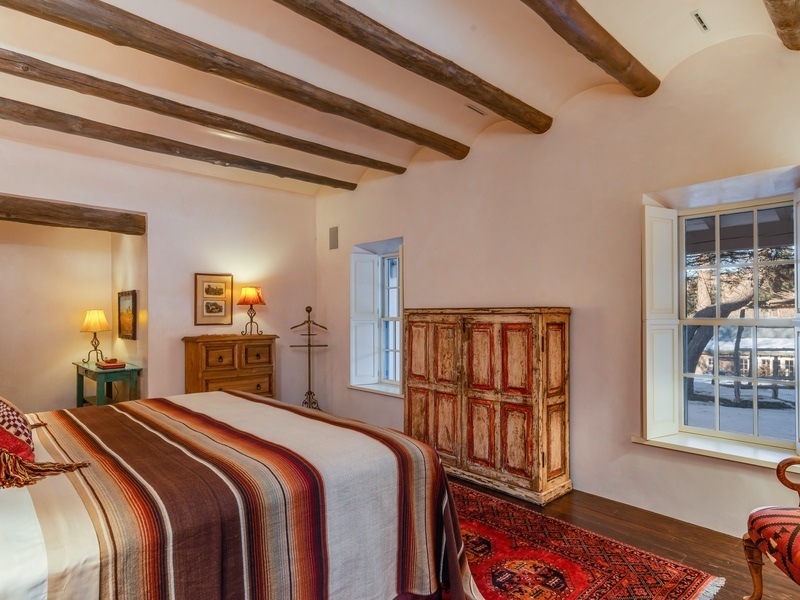 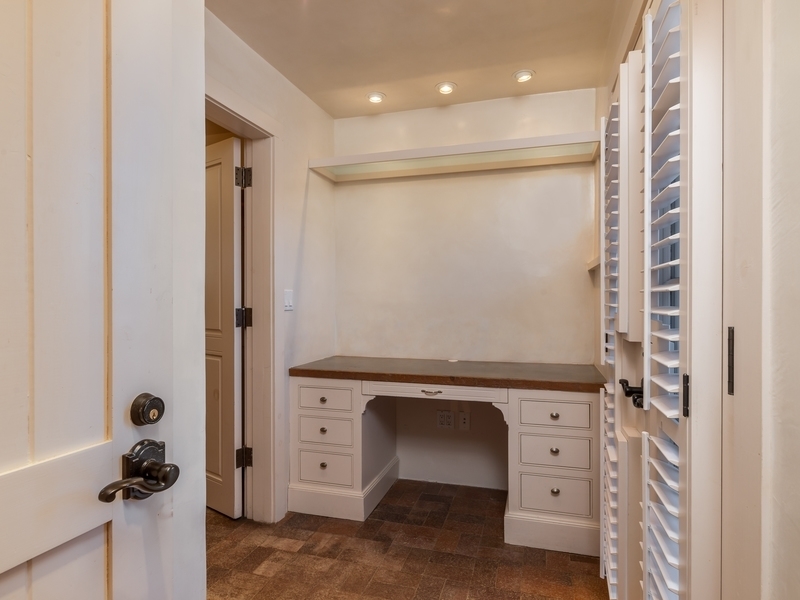 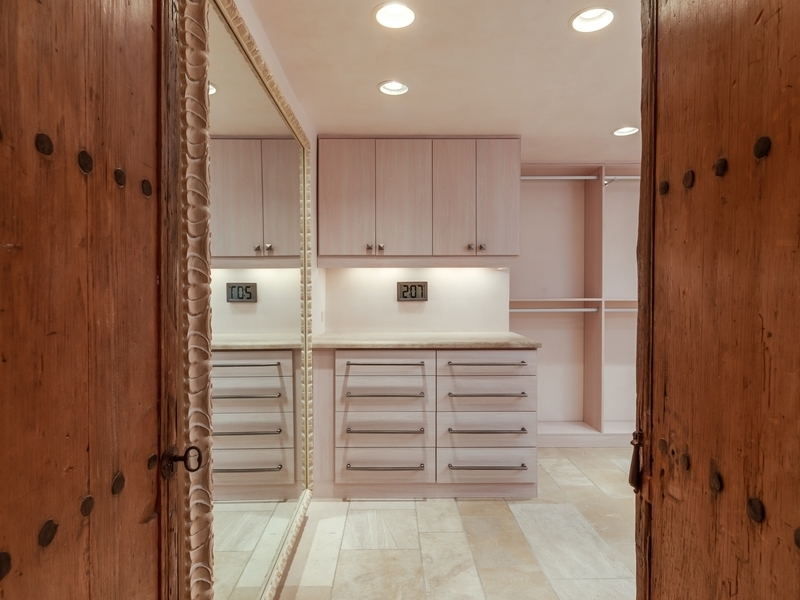 Inspired by the architecture of Betty Stewart, the refurbished two- or three-bedroom home has a Northern New Mexicoâstyle pitched roof and features double adobe walls, hand-adzed ceiling beams, plaster walls, brick and limestone floors, vintage wood doors, deep-set windows, and beautiful natural light throughout. 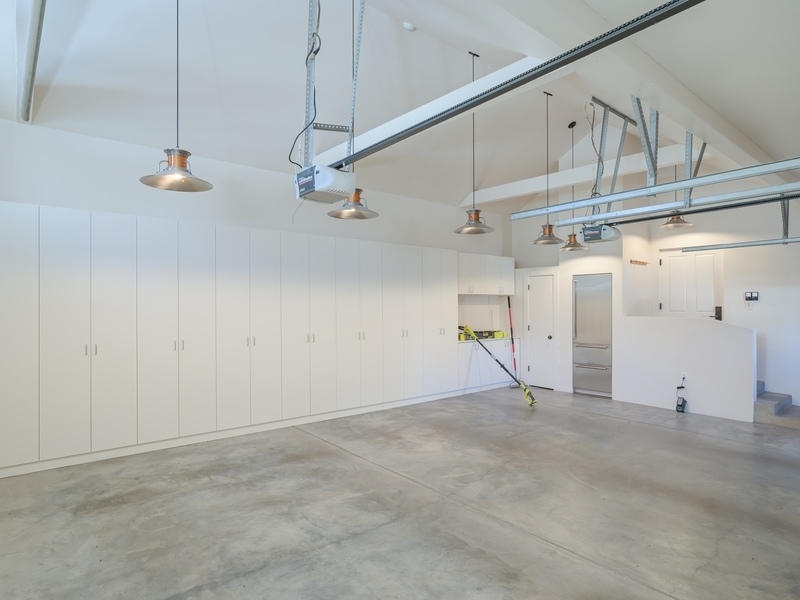 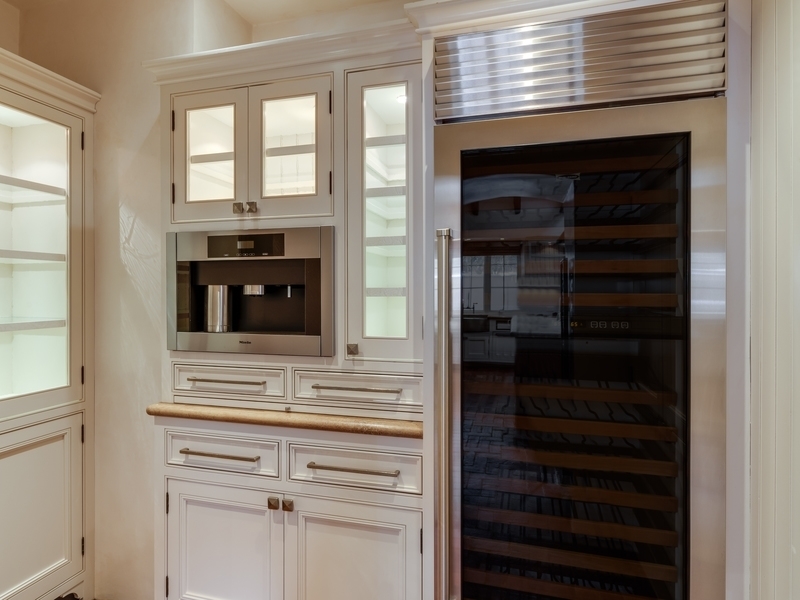 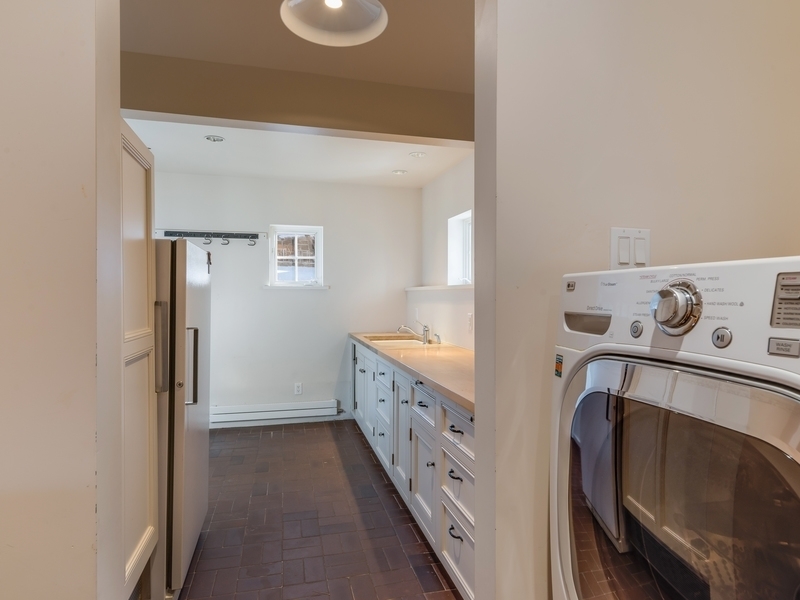 It offers wonderfully proportioned spaces, including multiple areas for indoor-outdoor entertaining and a chef's kitchen with appliances from Wolf, Sub-Zero, and Miele. 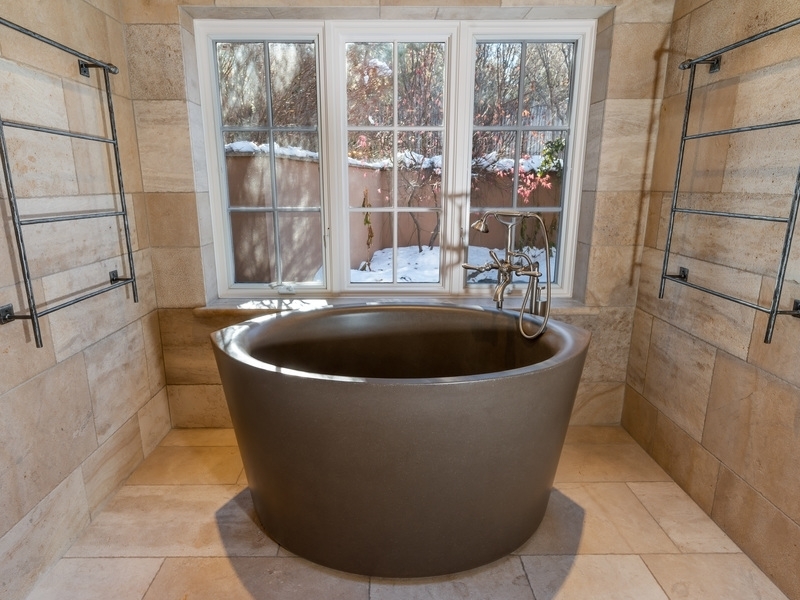 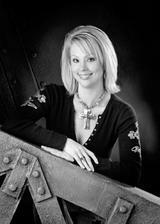 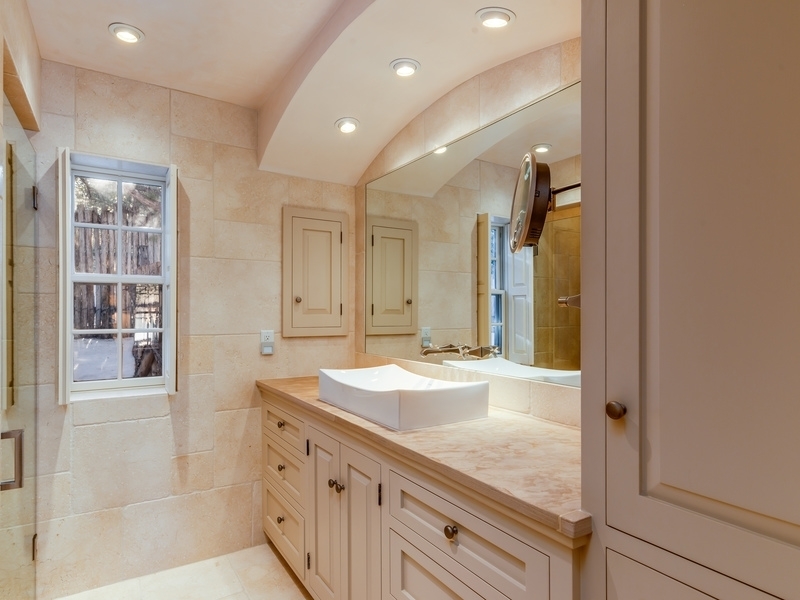 Forced heat and air help maintain a comfortable temperature year-round. 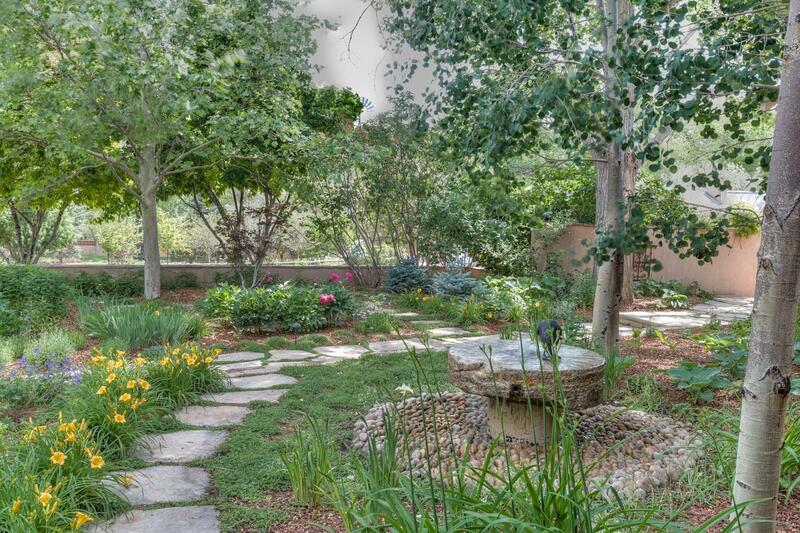 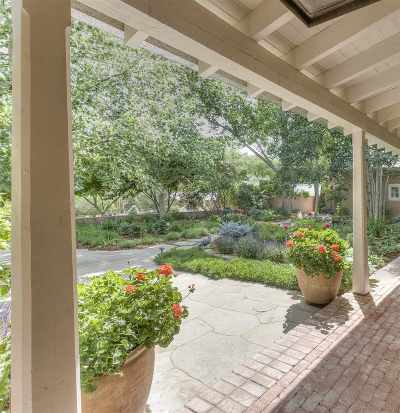 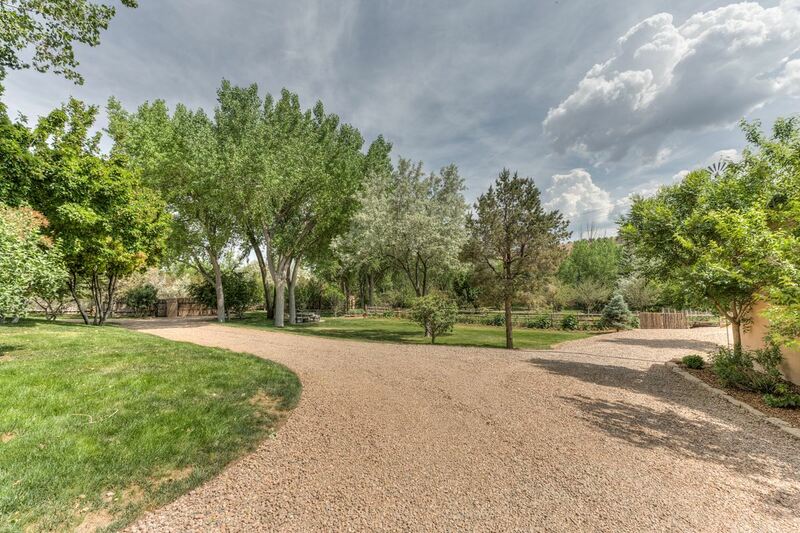 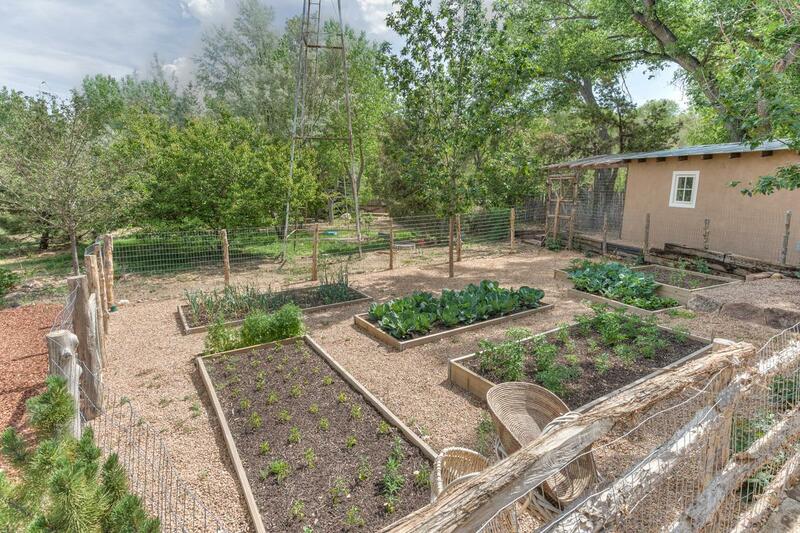 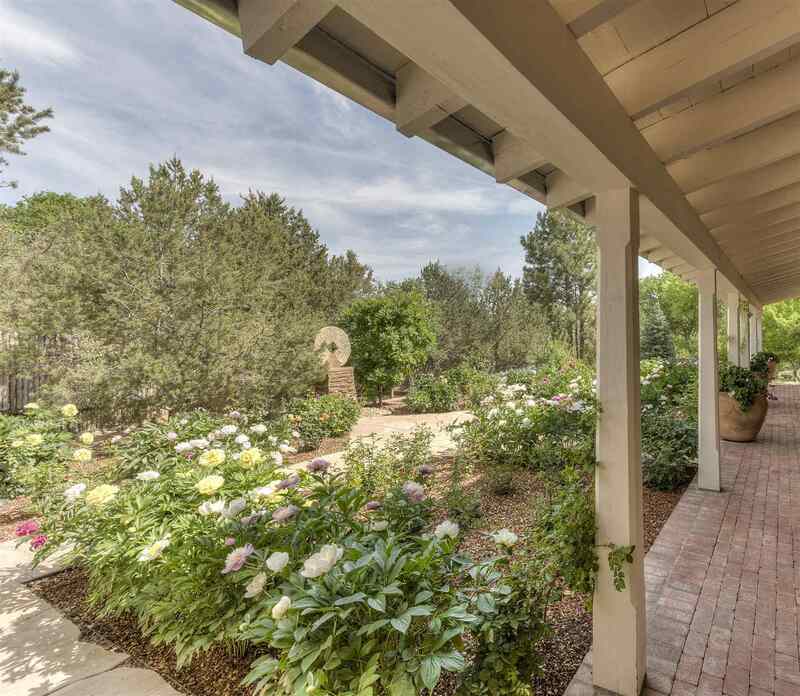 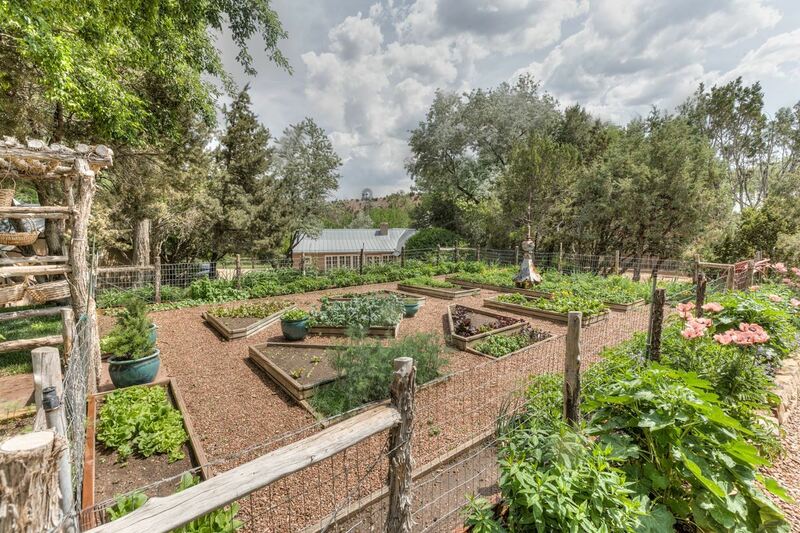 The picturesque 2.79-acre property is walled and fenced and features mature landscaping; vegetable, flower, and herb gardens; two premoratorium wells; an orchard; portales and patios; mature trees; and a chicken coop.